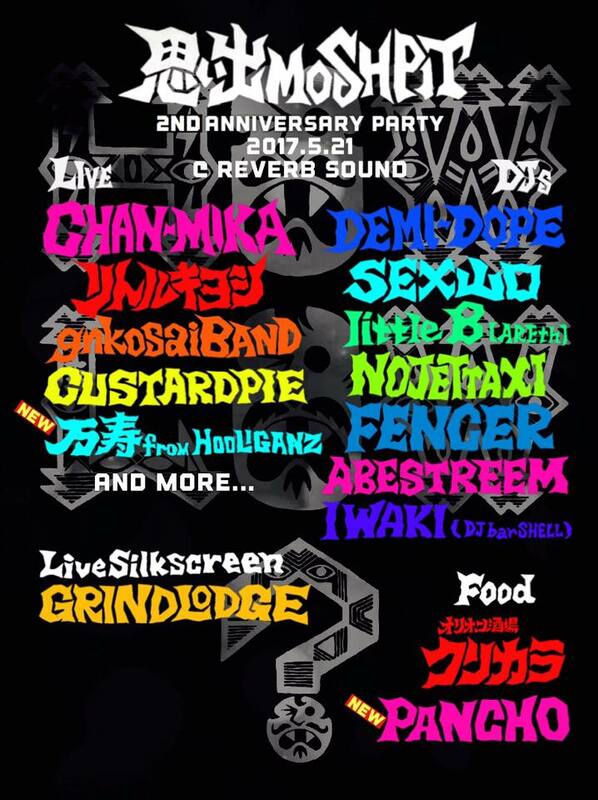 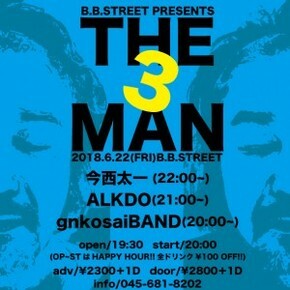 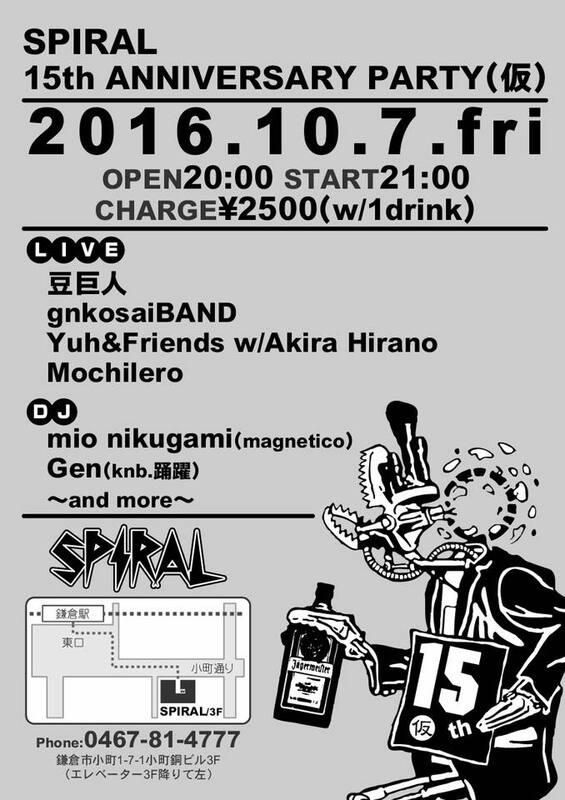 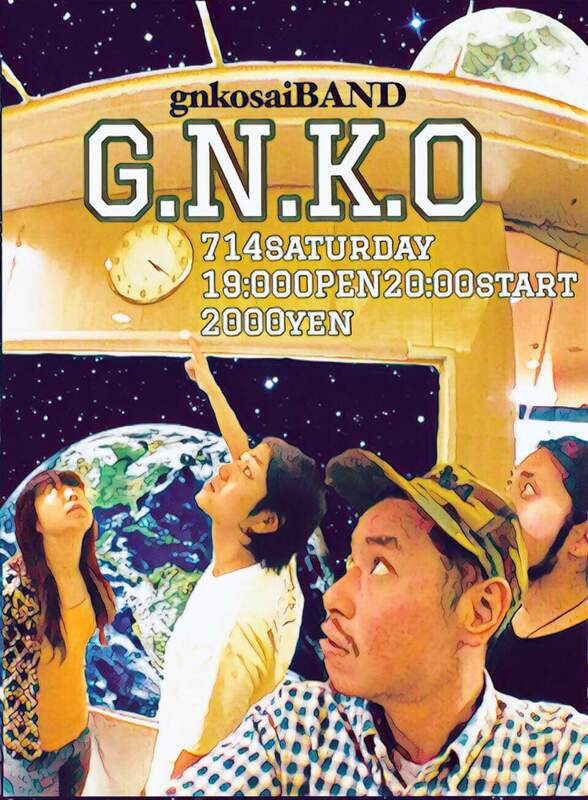 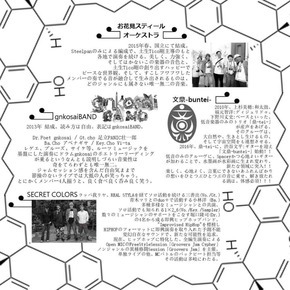 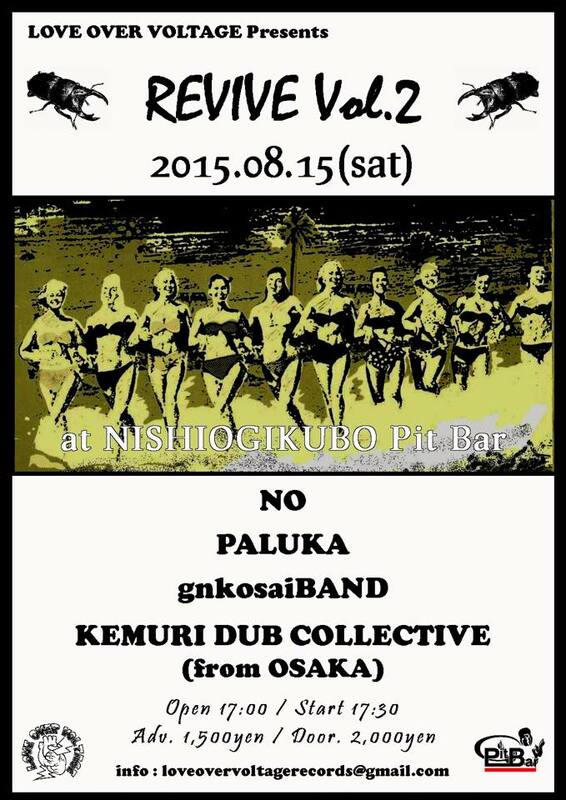 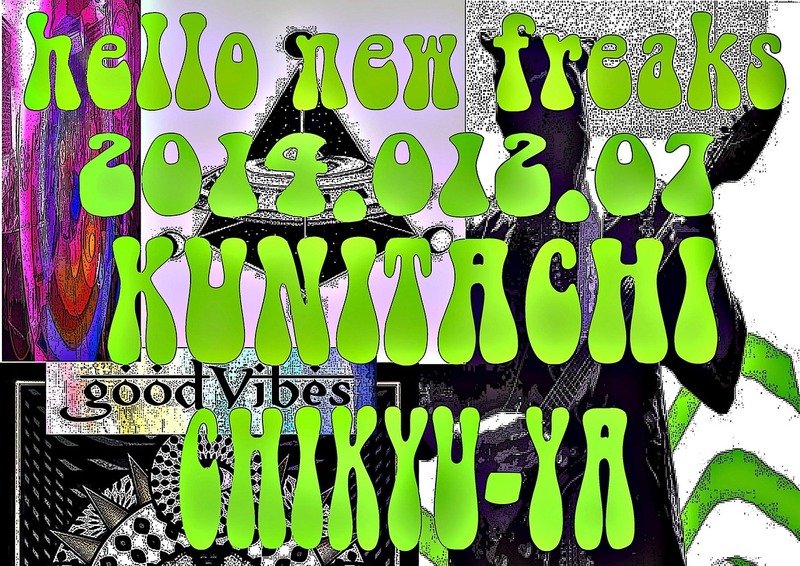 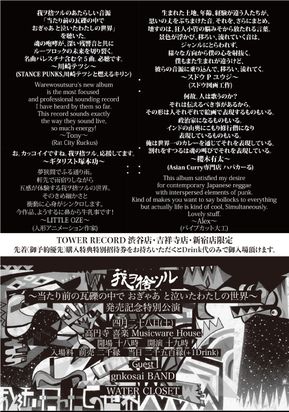 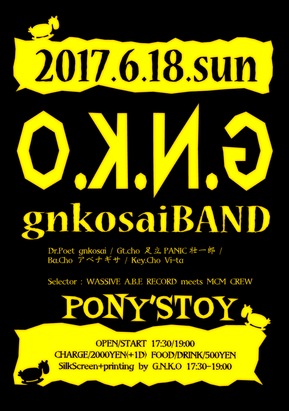 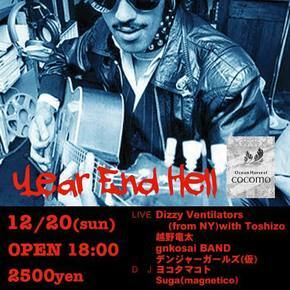 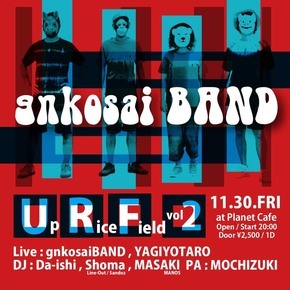 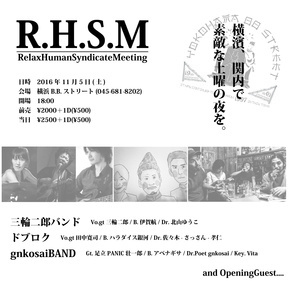 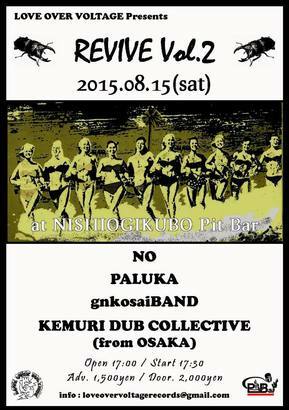 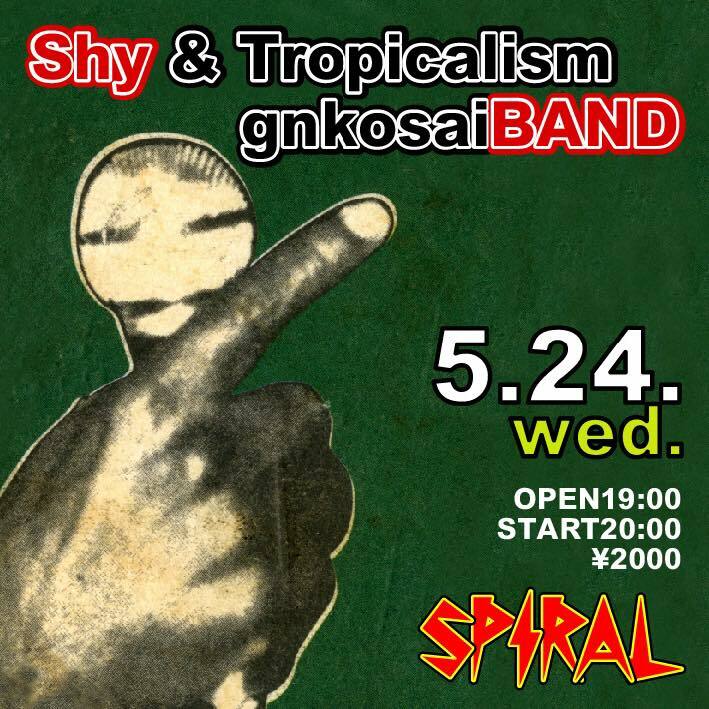 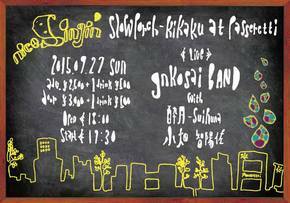 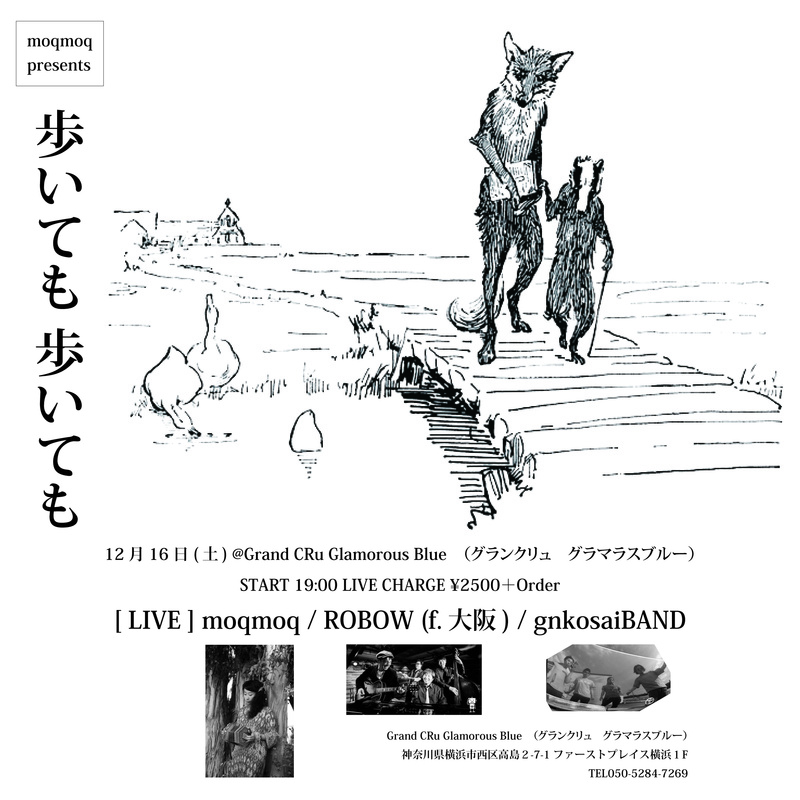 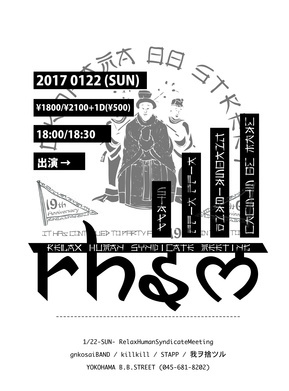 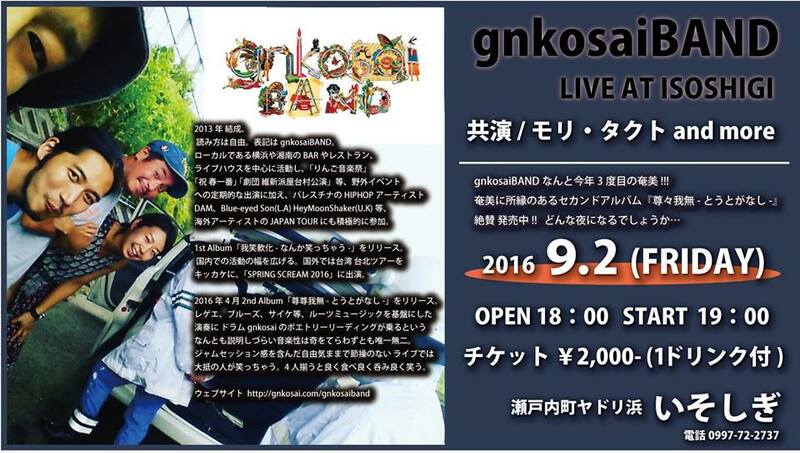 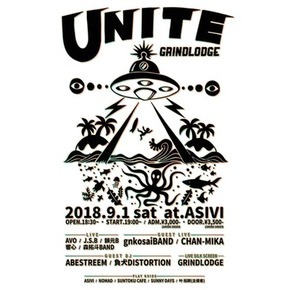 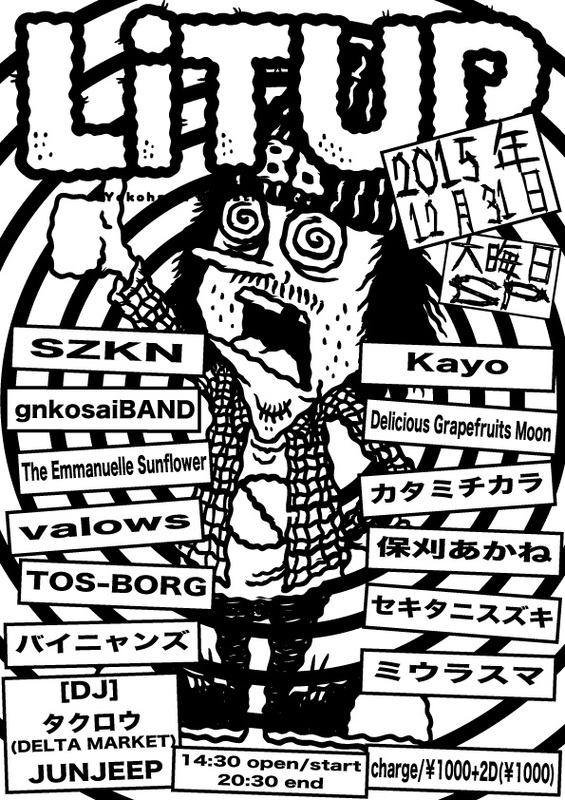 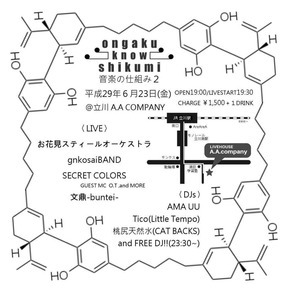 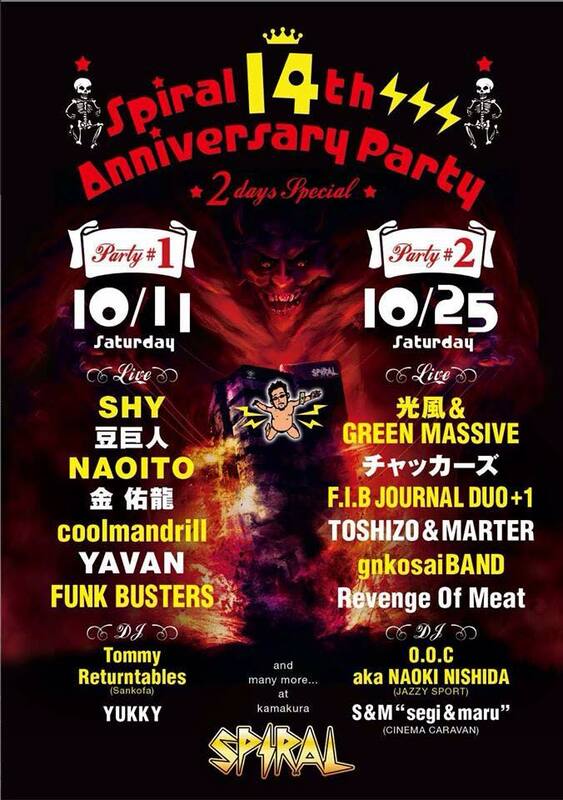 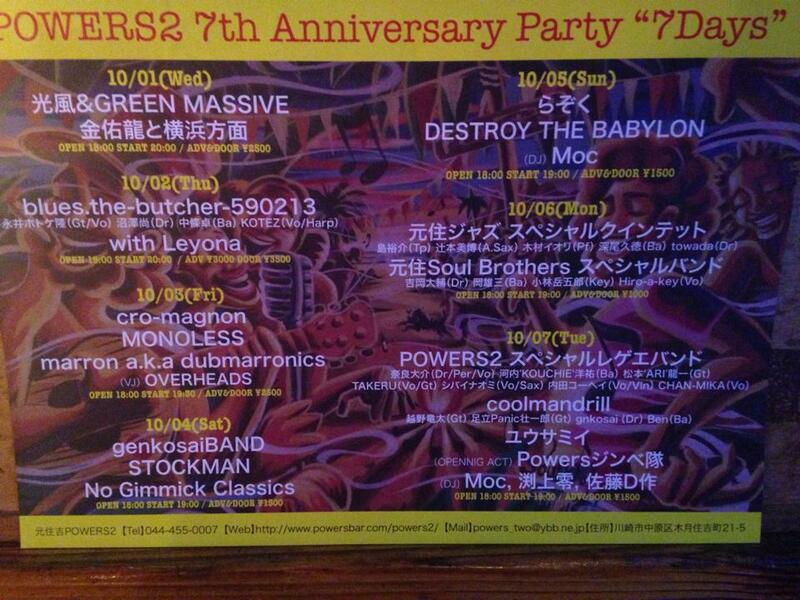 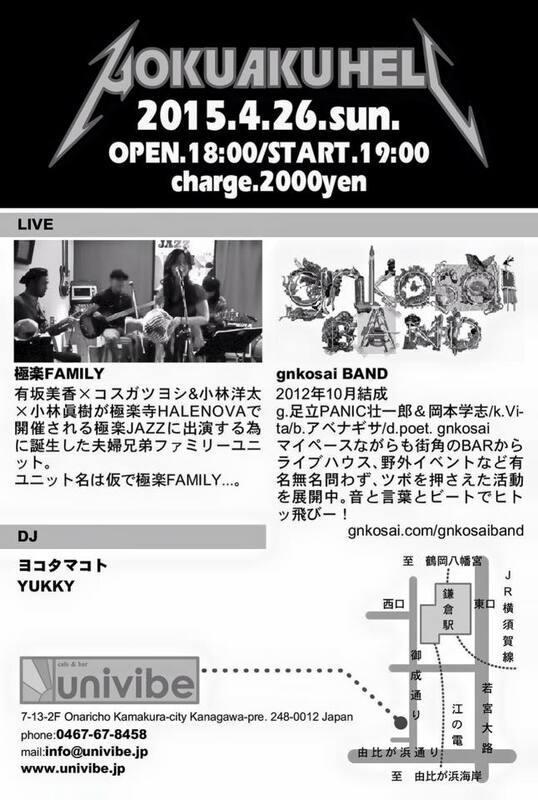 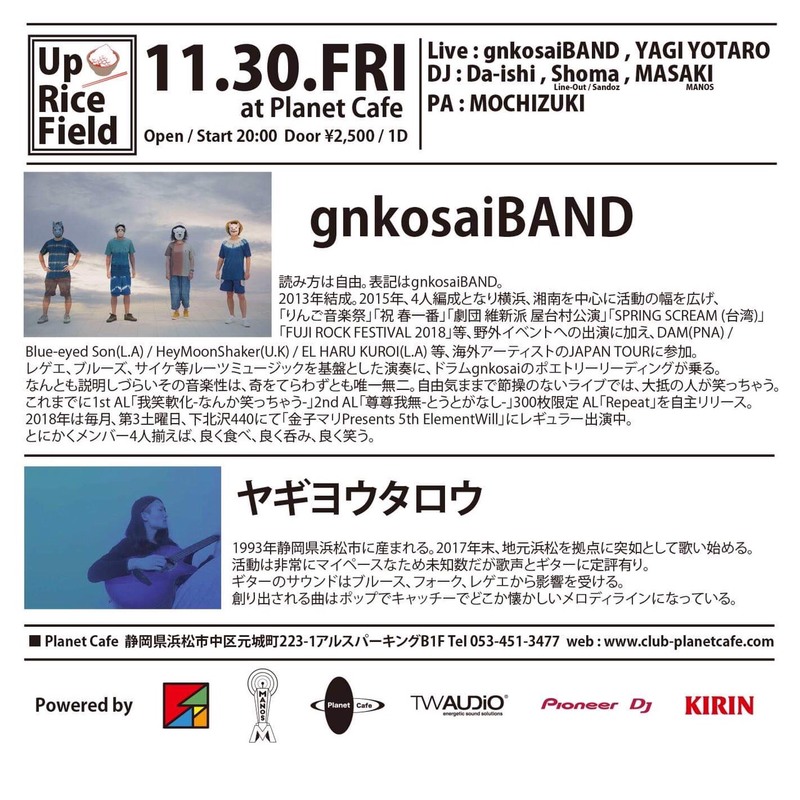 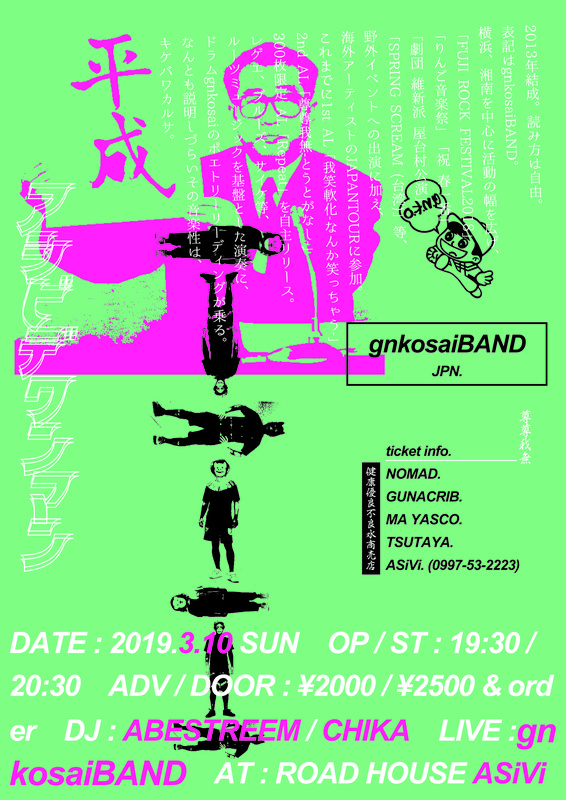 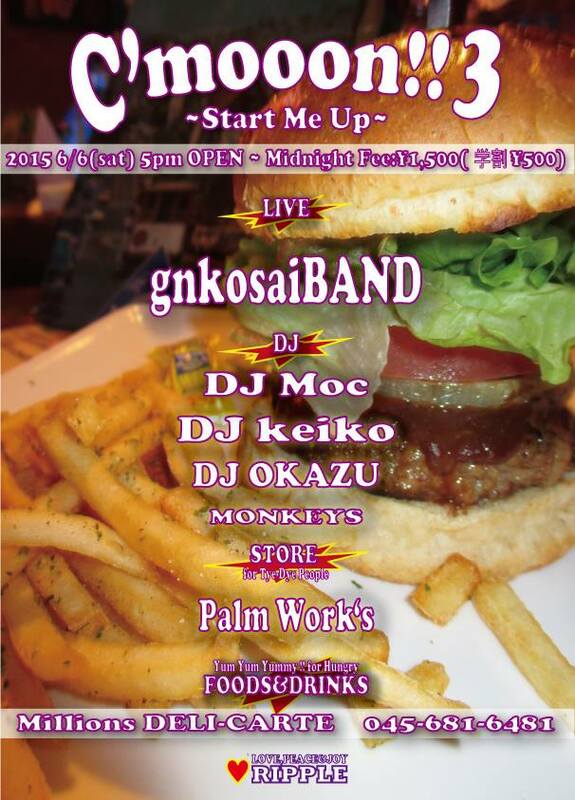 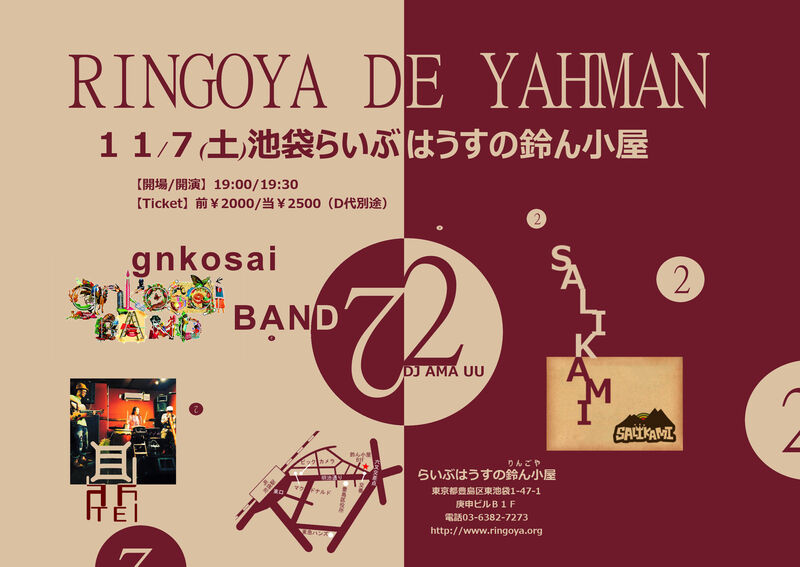 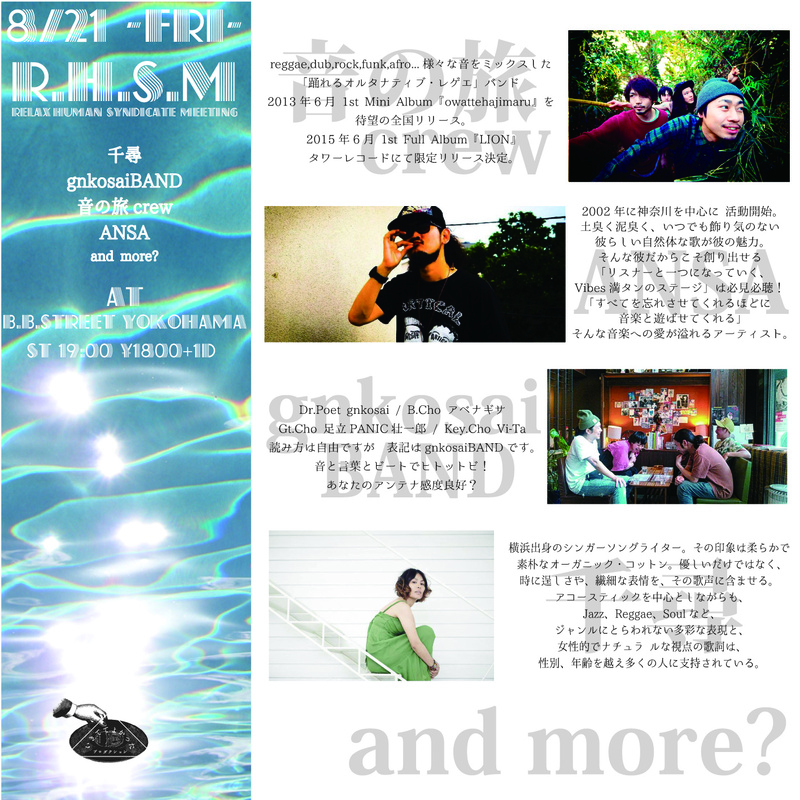 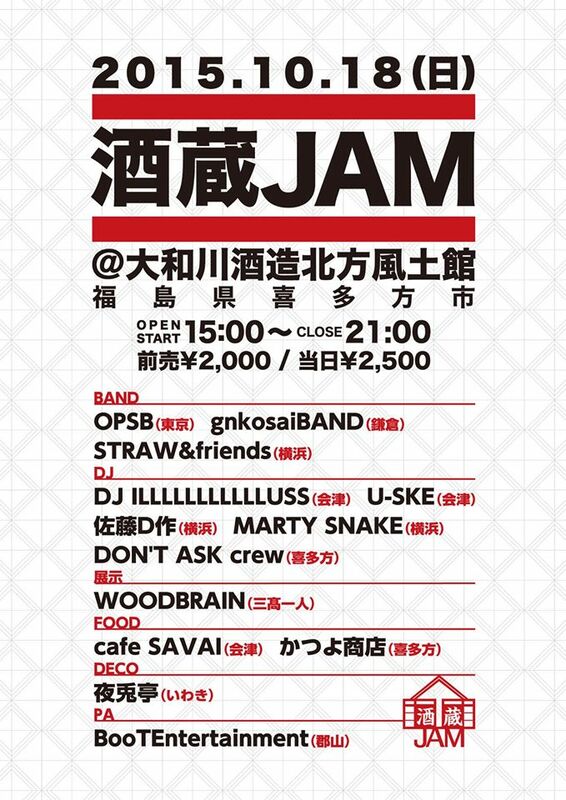 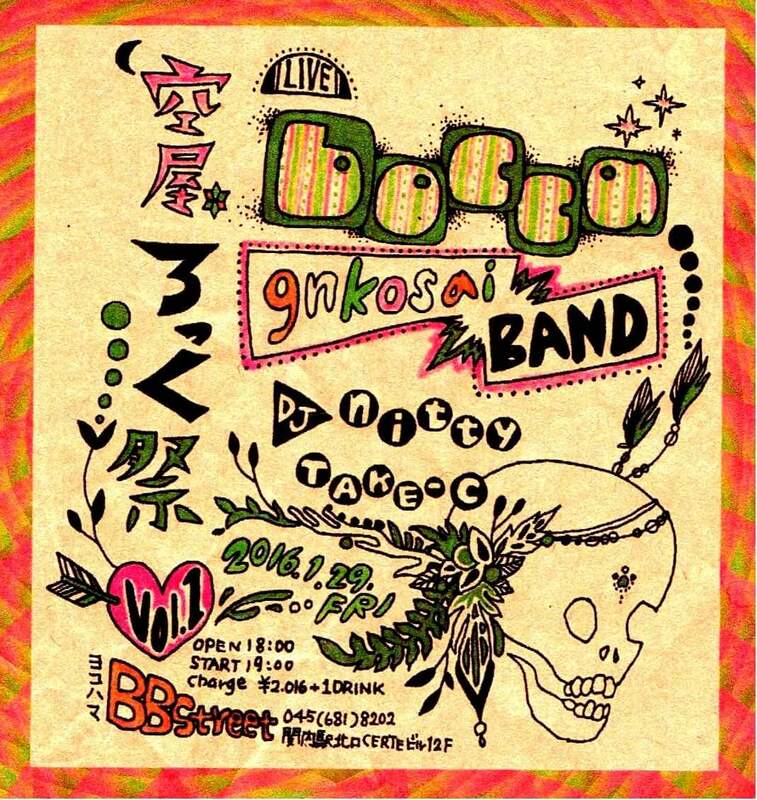 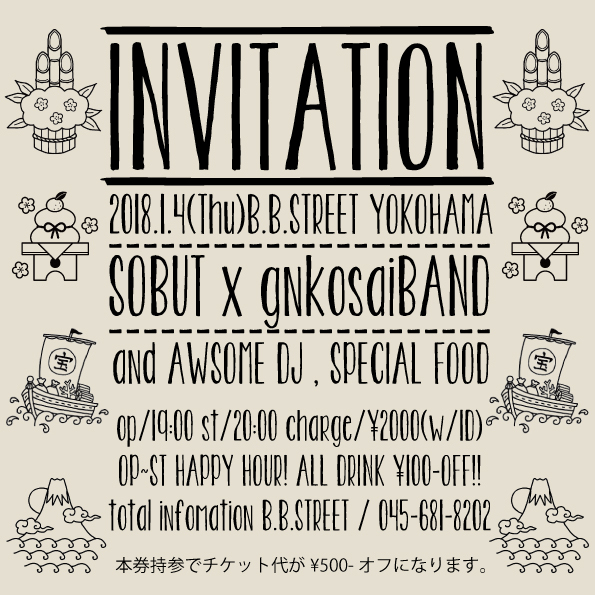 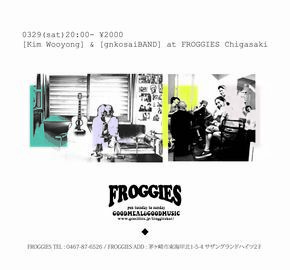 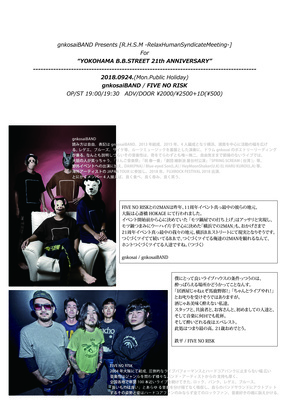 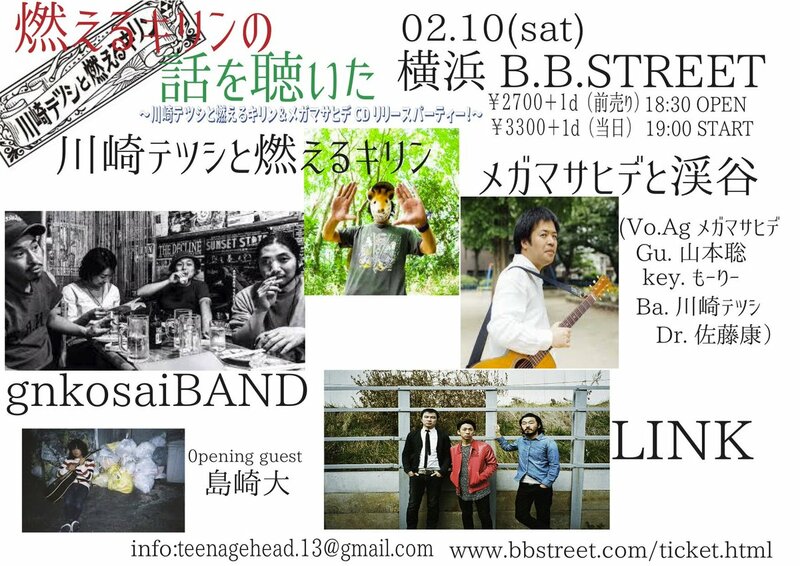 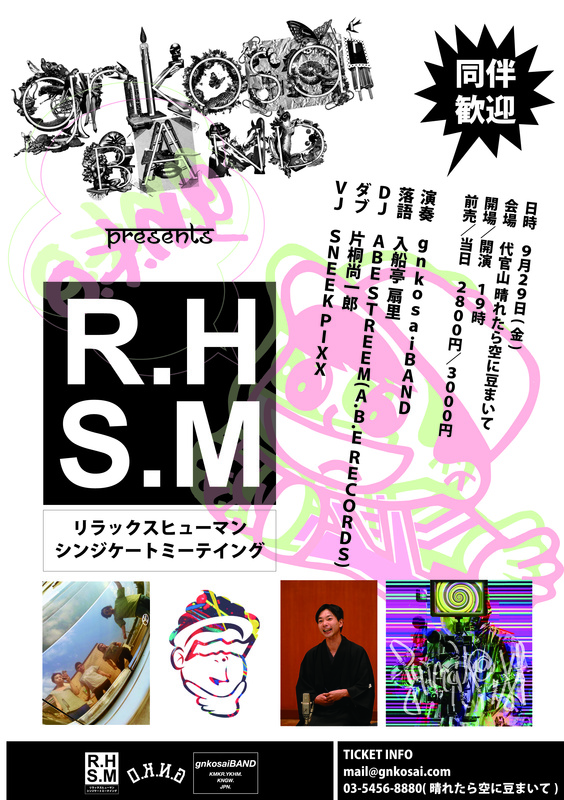 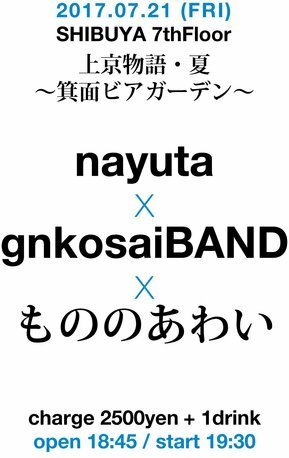 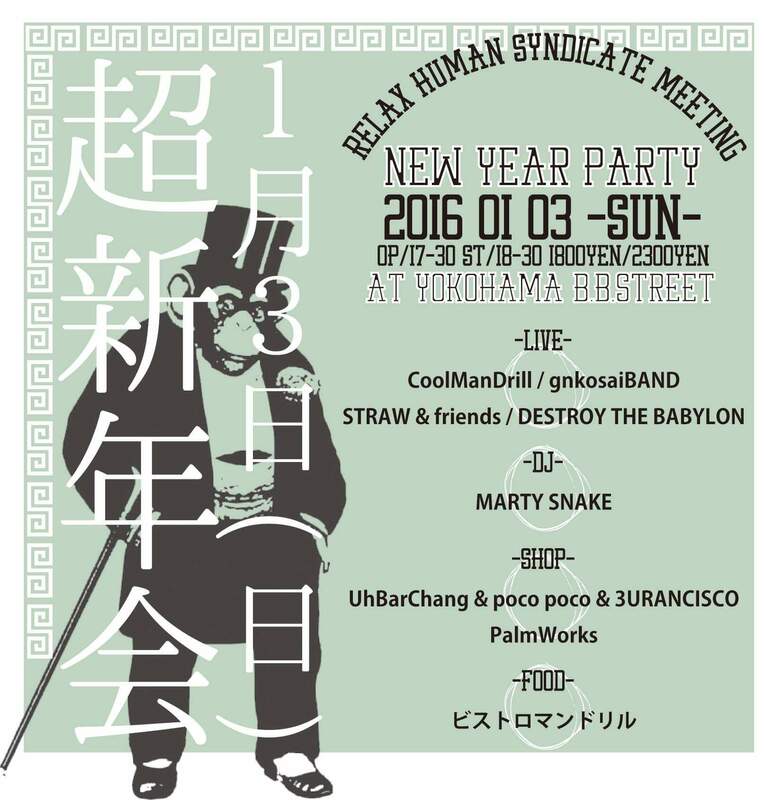 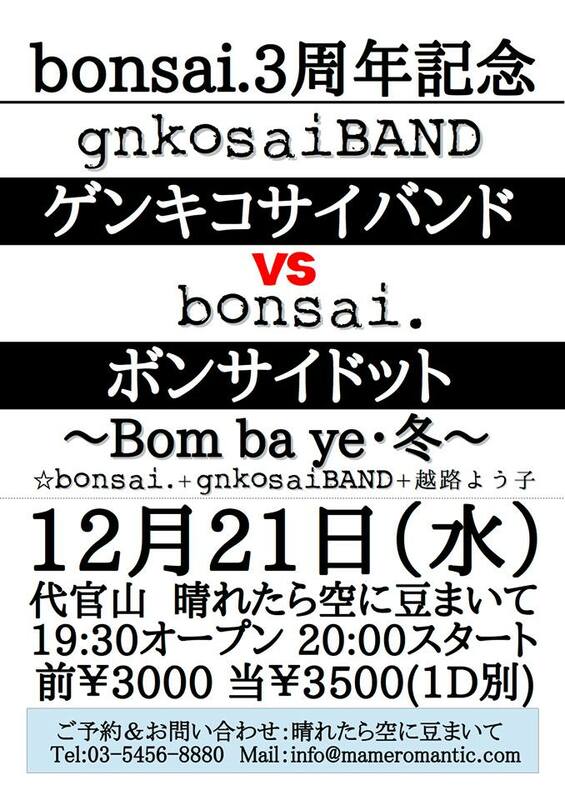 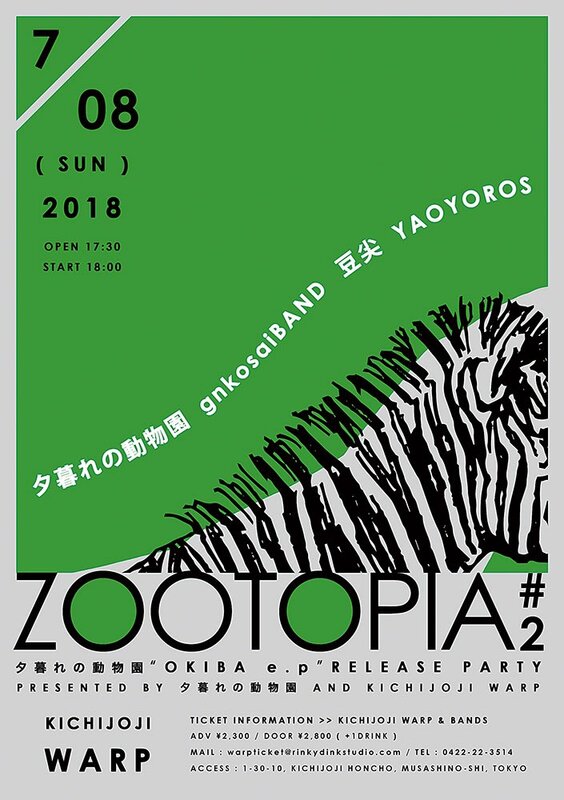 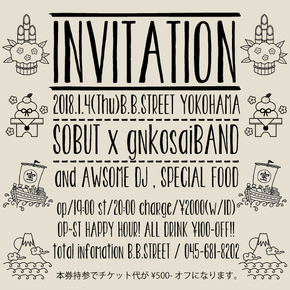 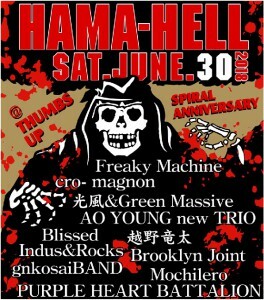 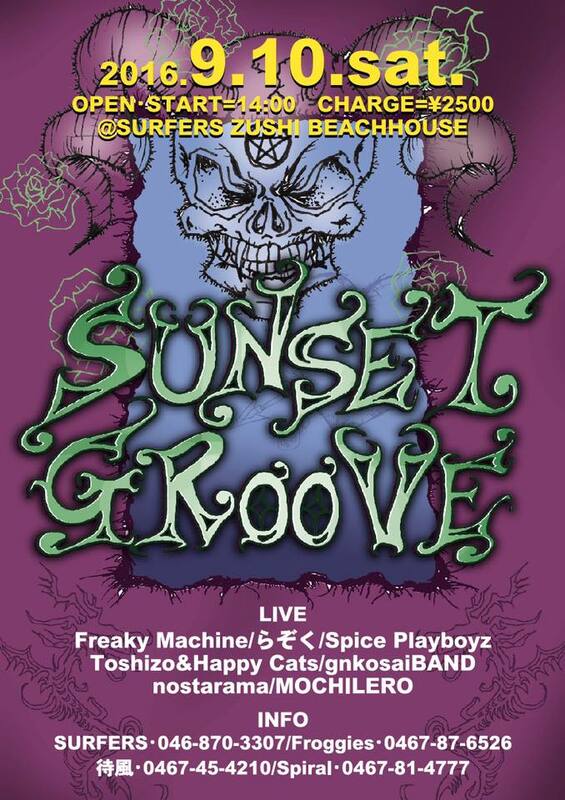 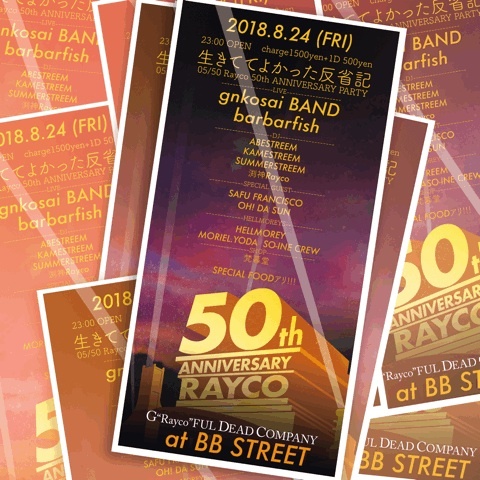 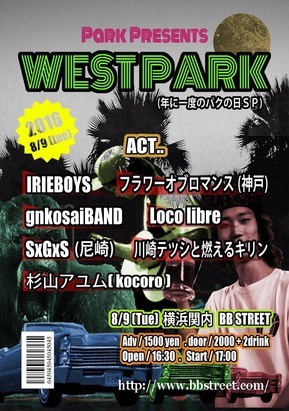 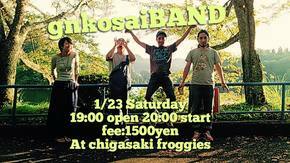 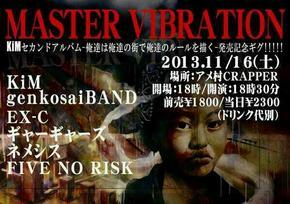 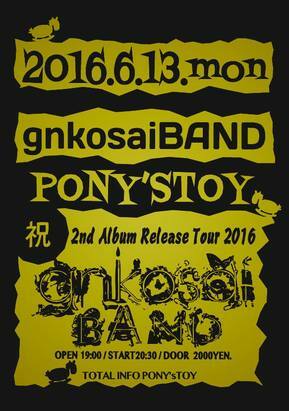 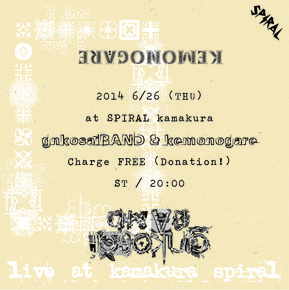 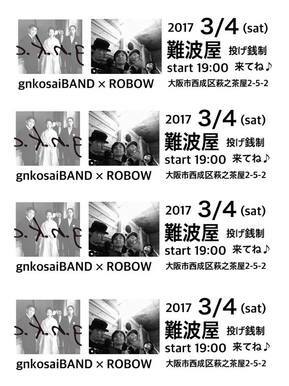 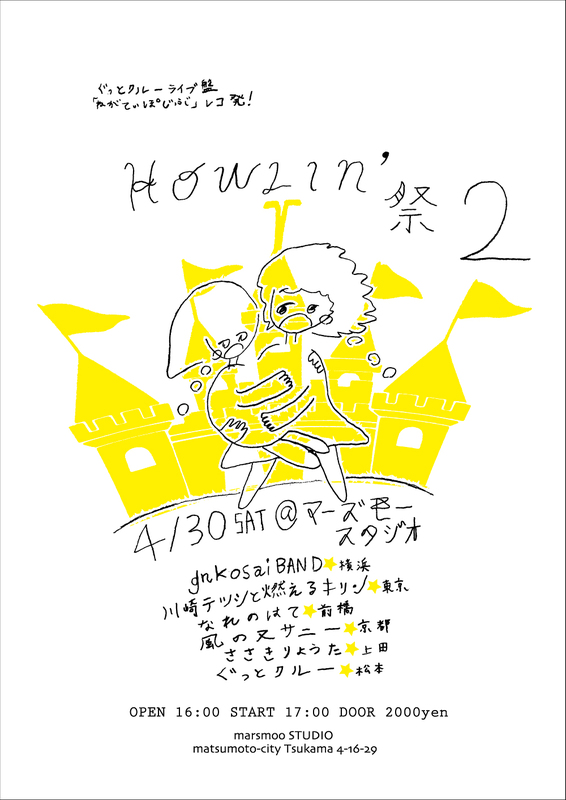 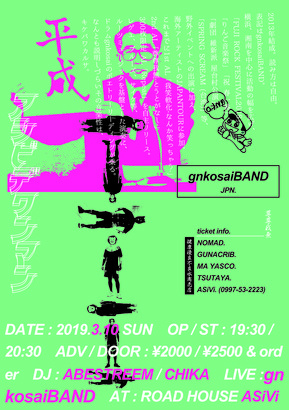 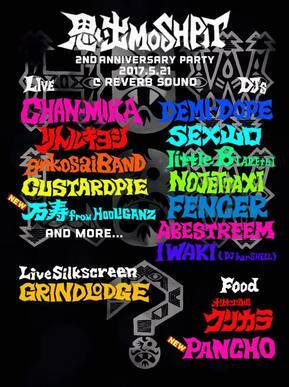 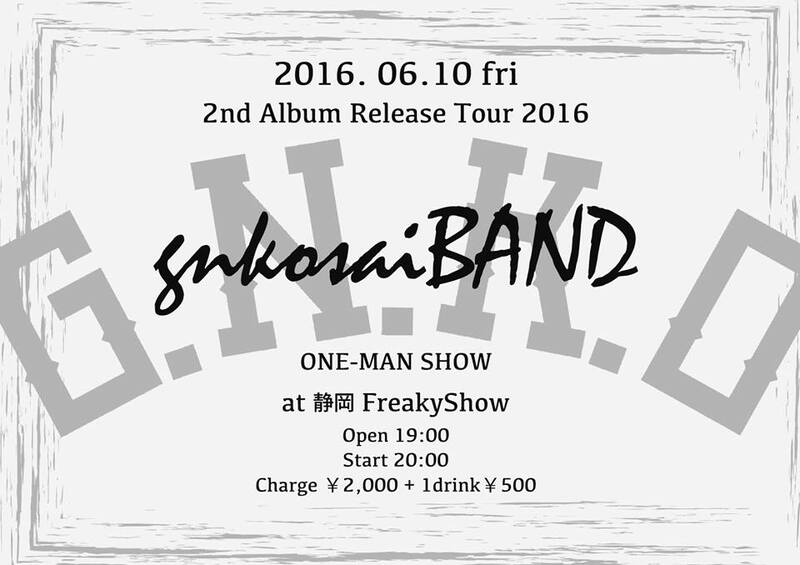 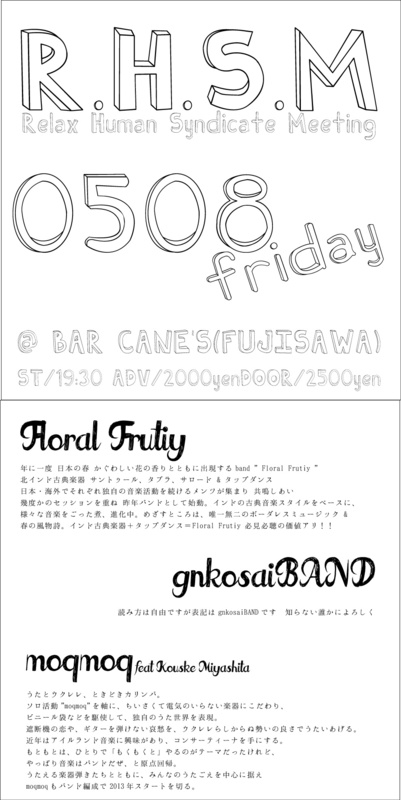 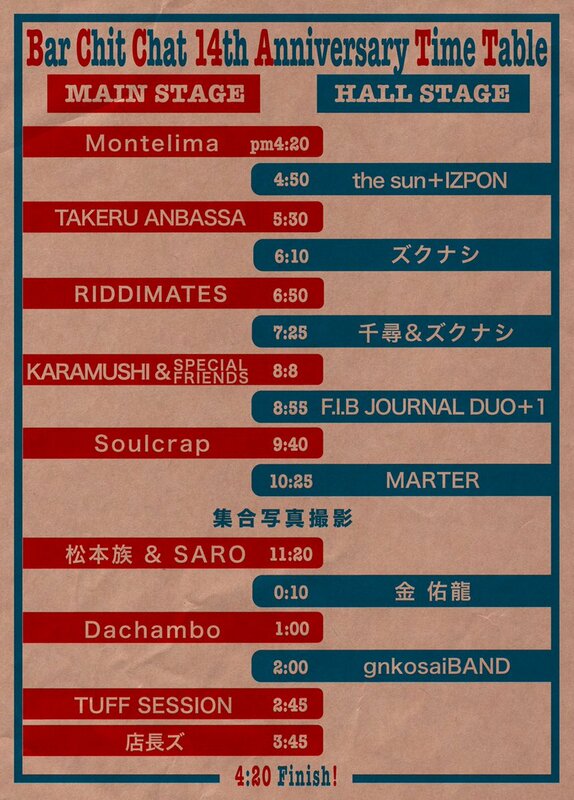 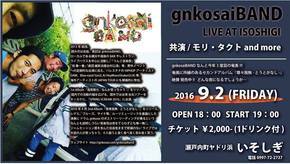 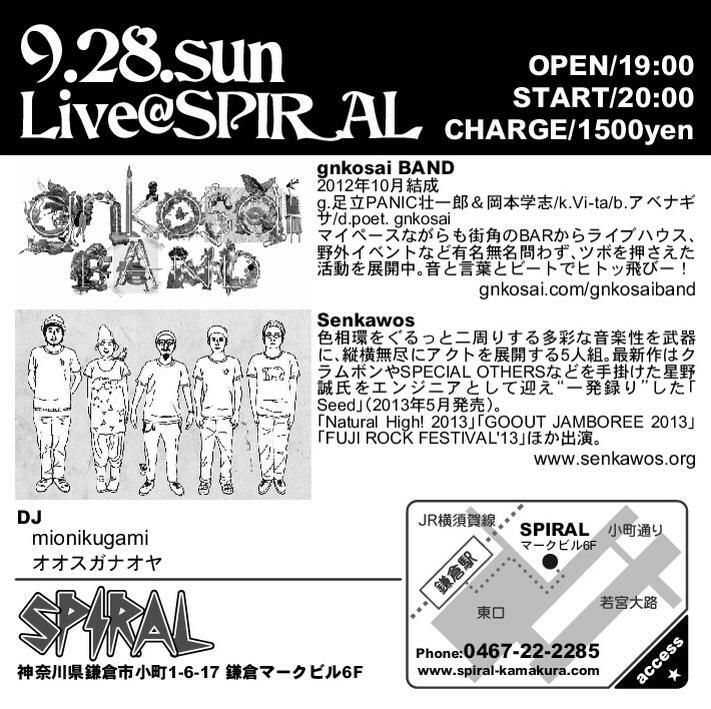 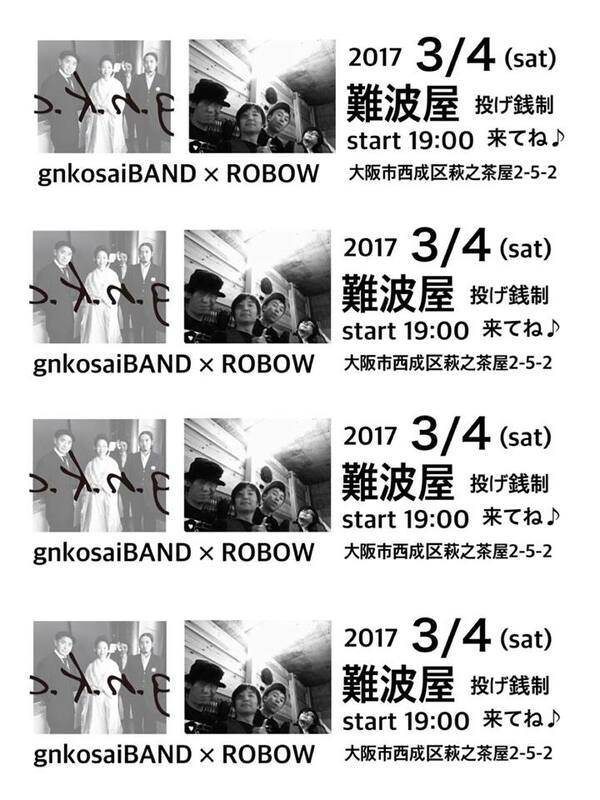 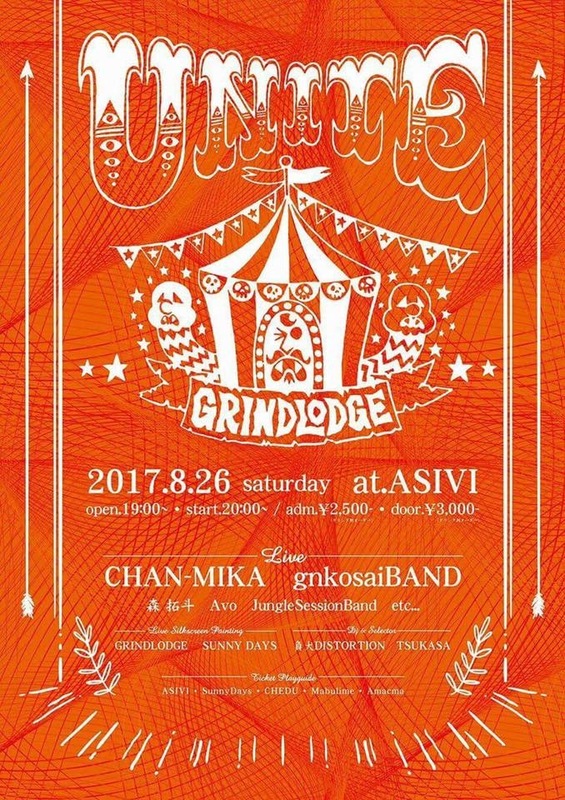 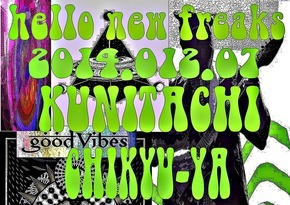 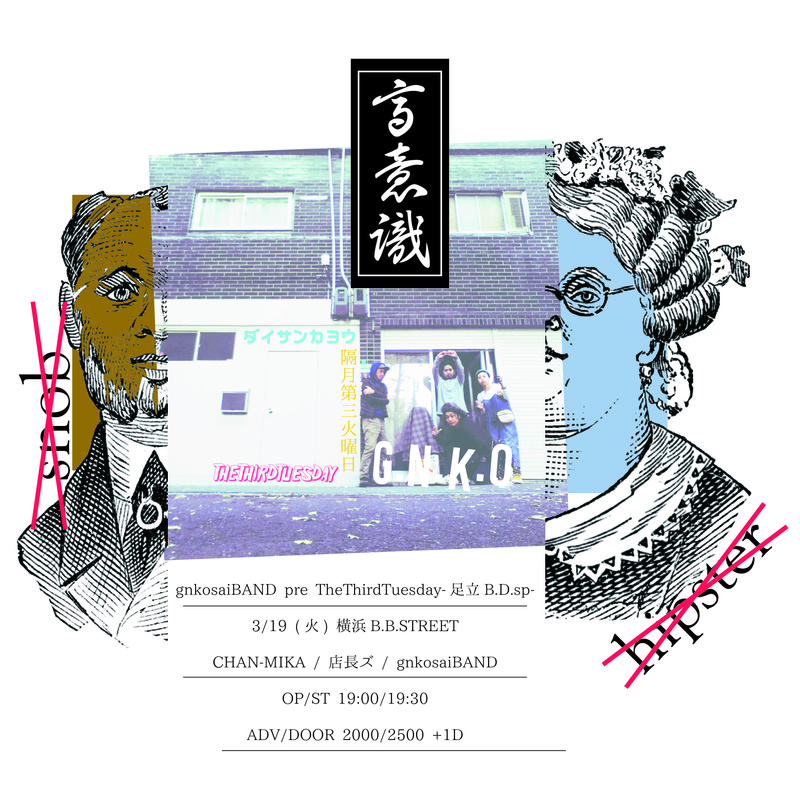 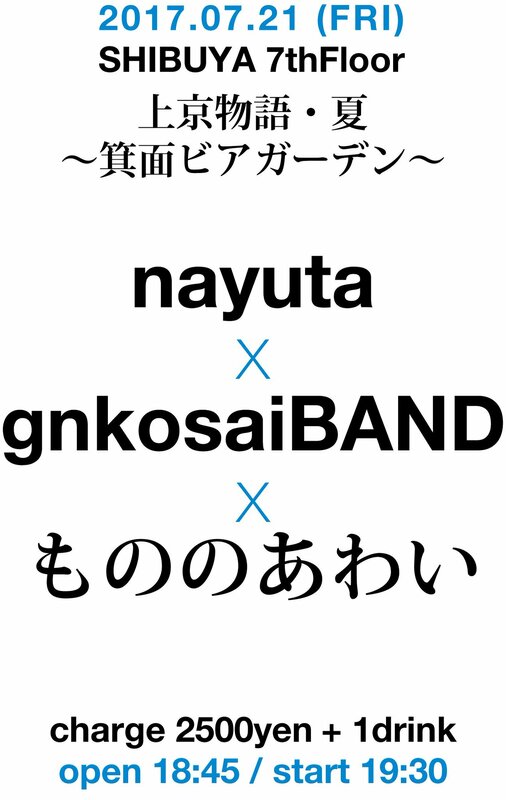 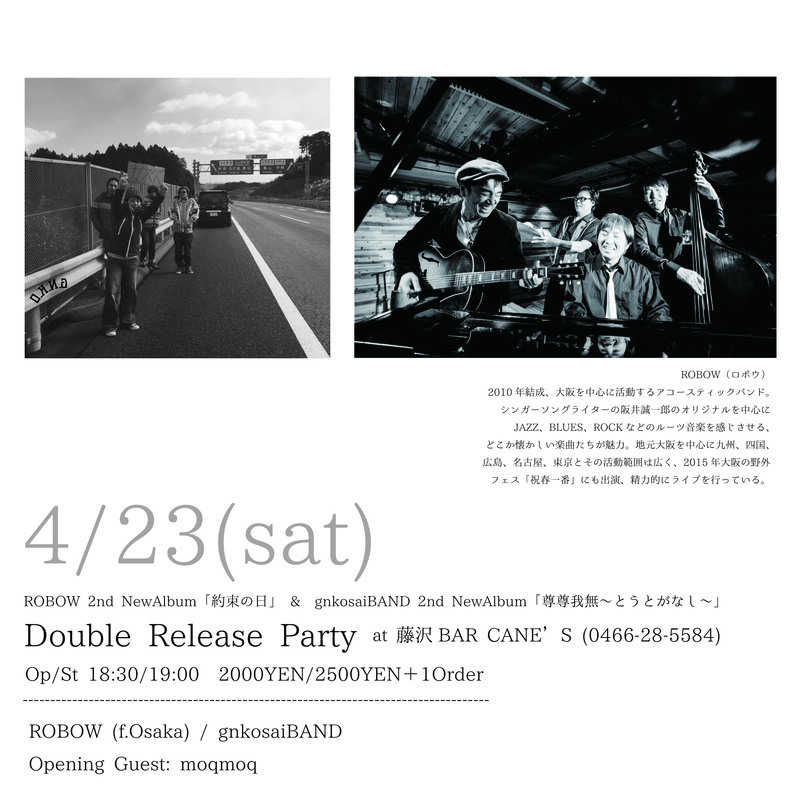 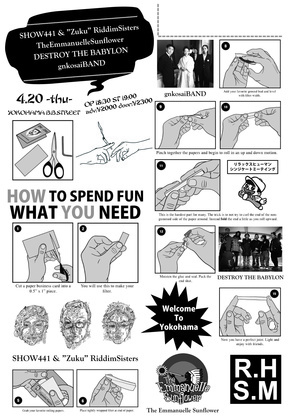 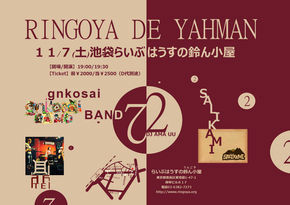 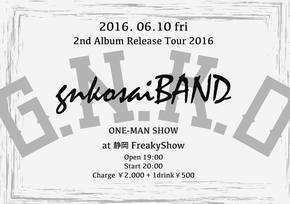 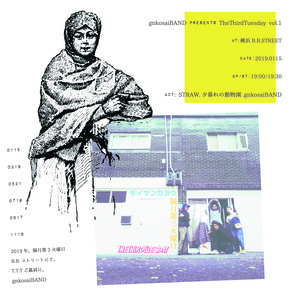 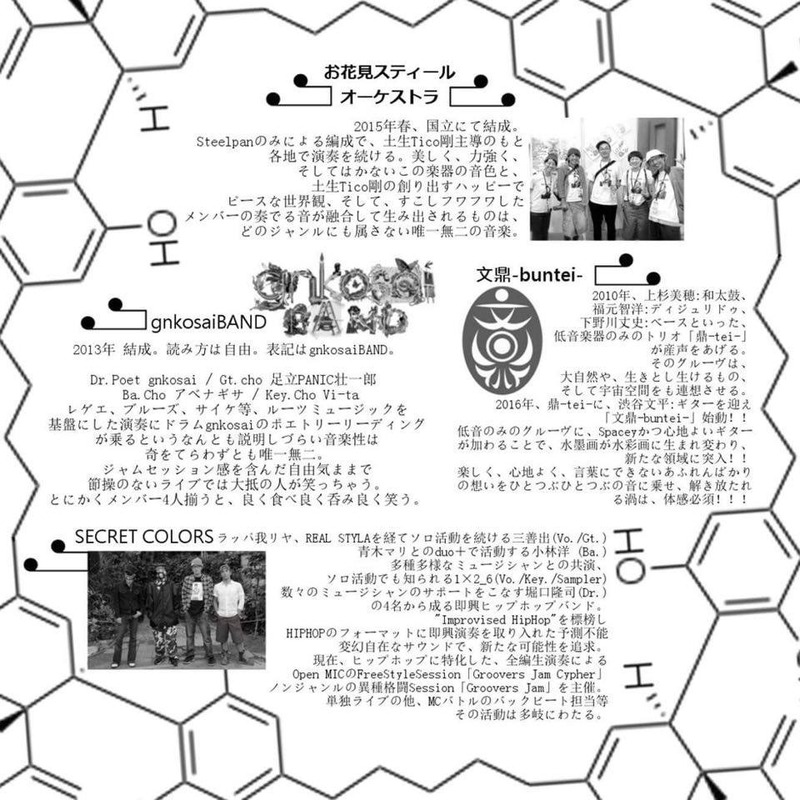 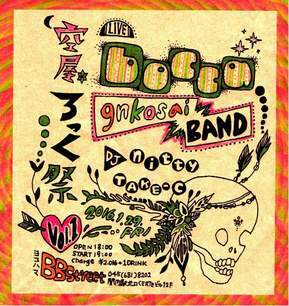 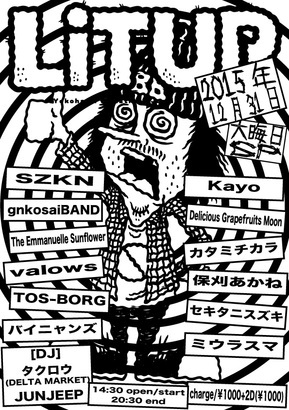 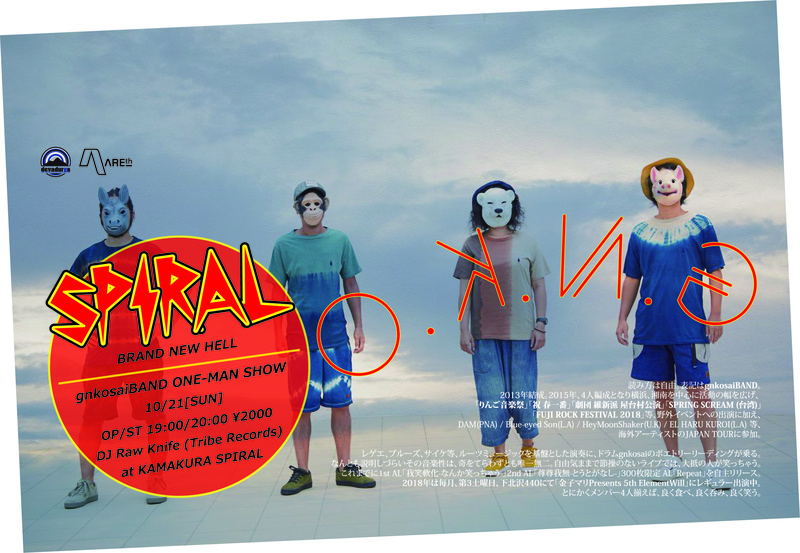 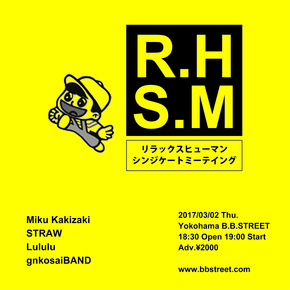 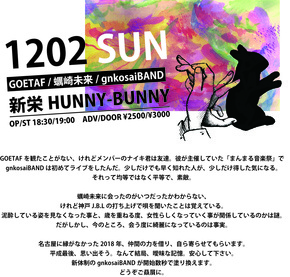 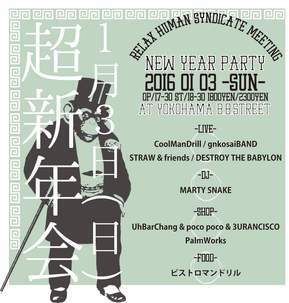 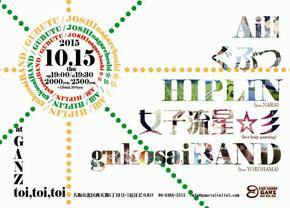 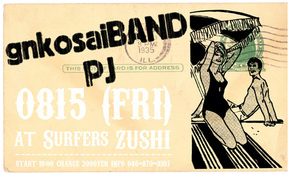 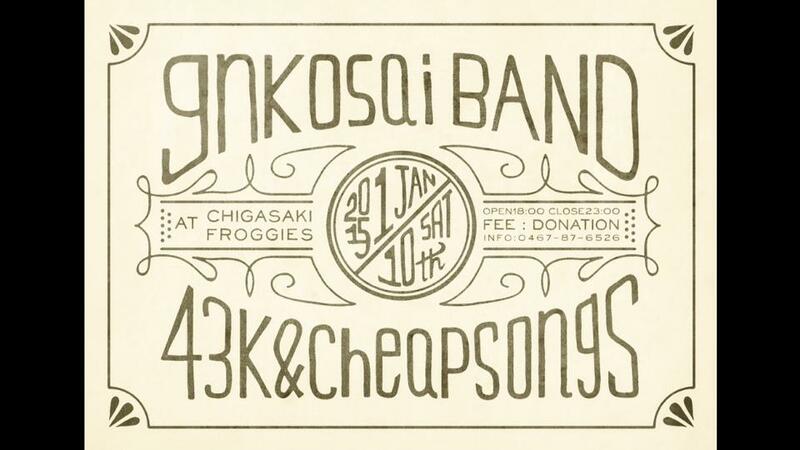 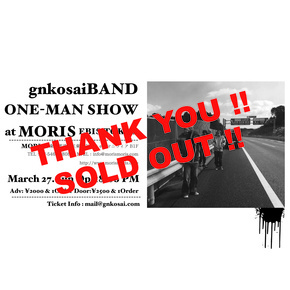 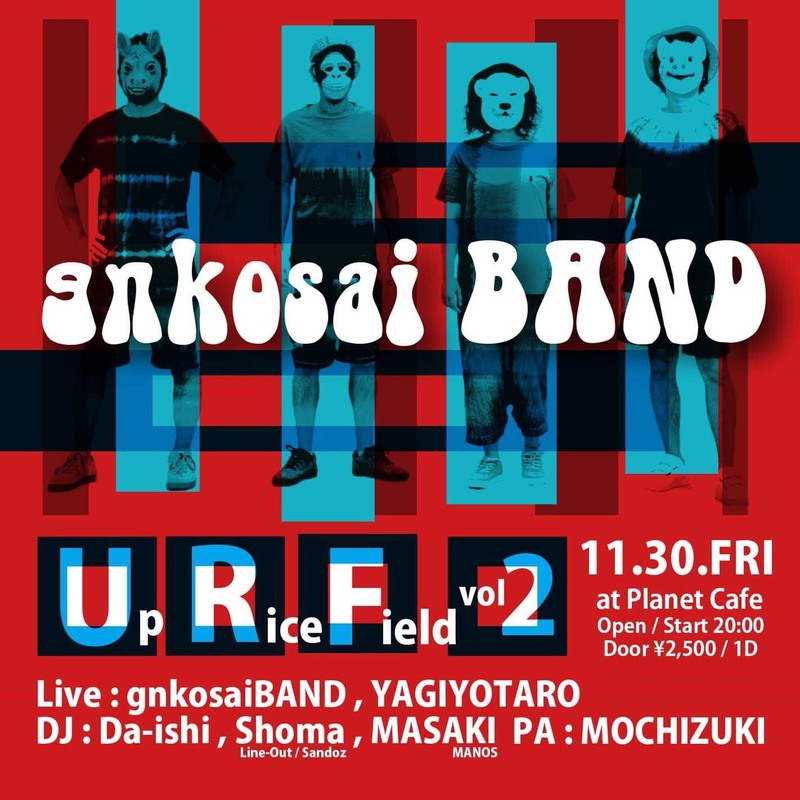 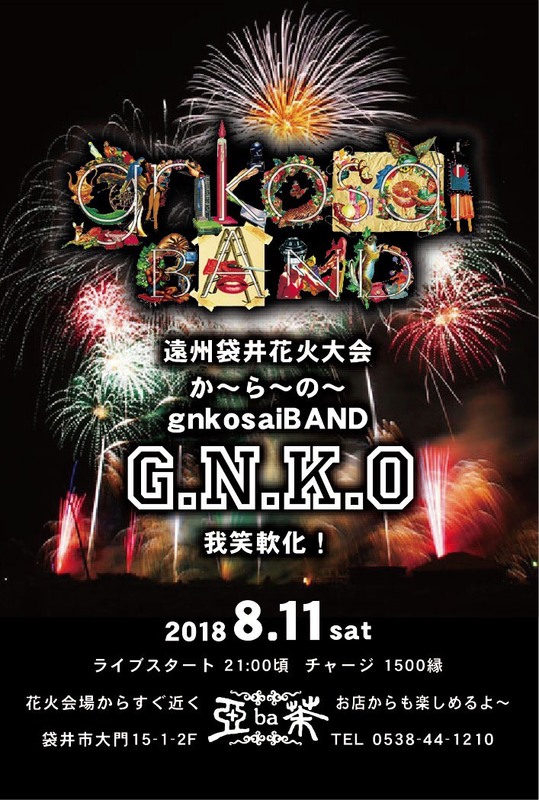 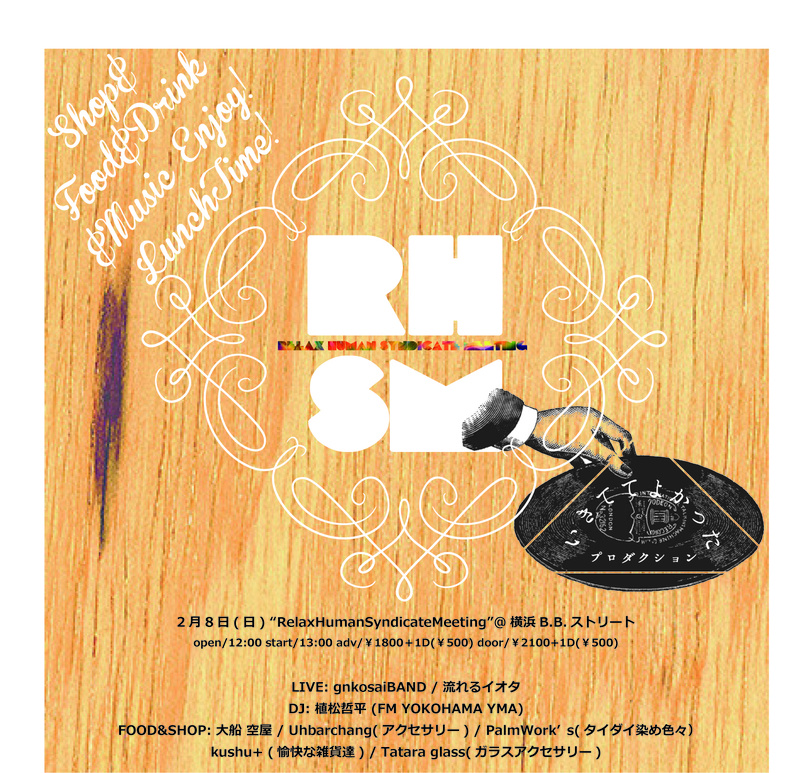 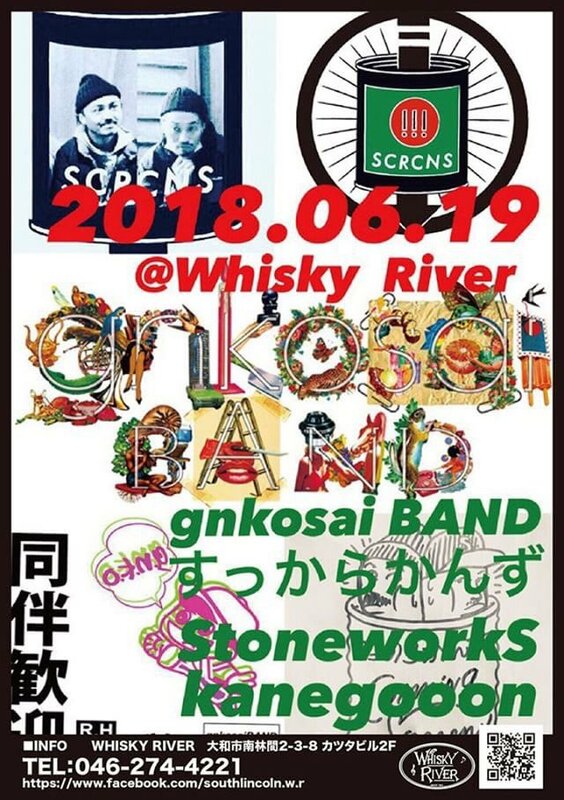 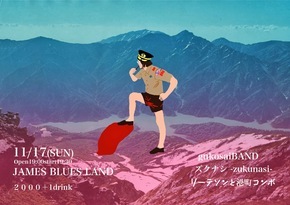 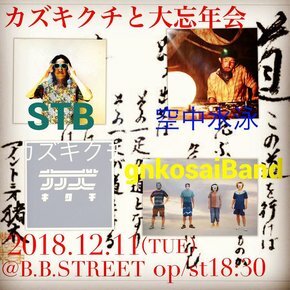 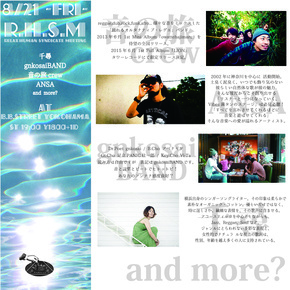 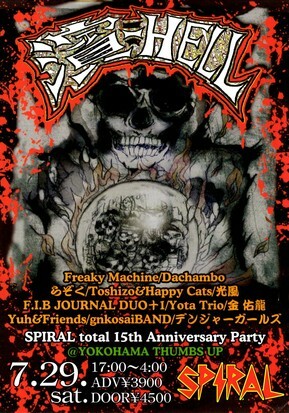 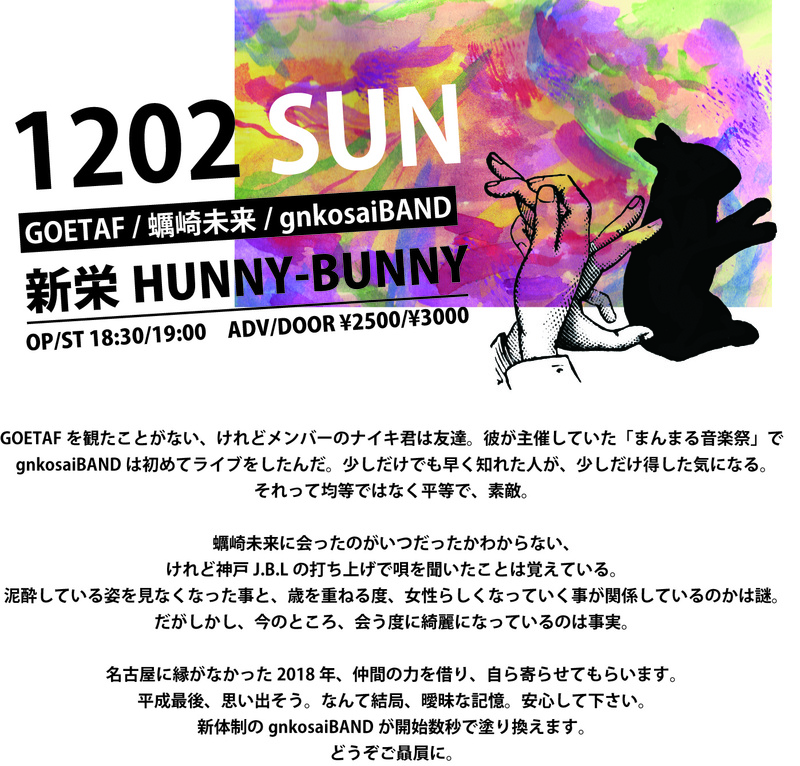 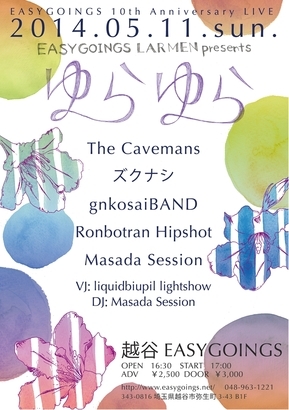 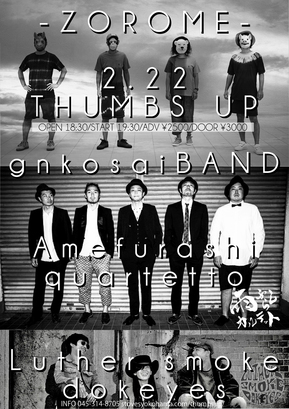 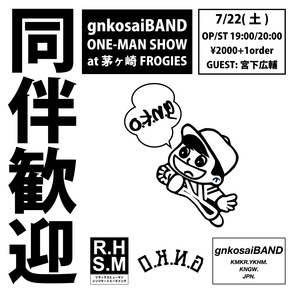 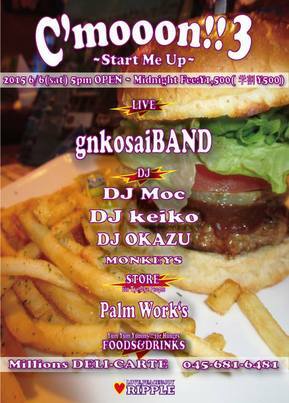 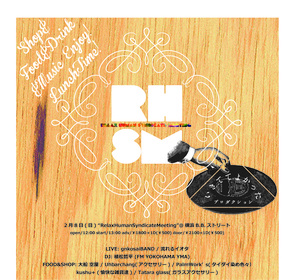 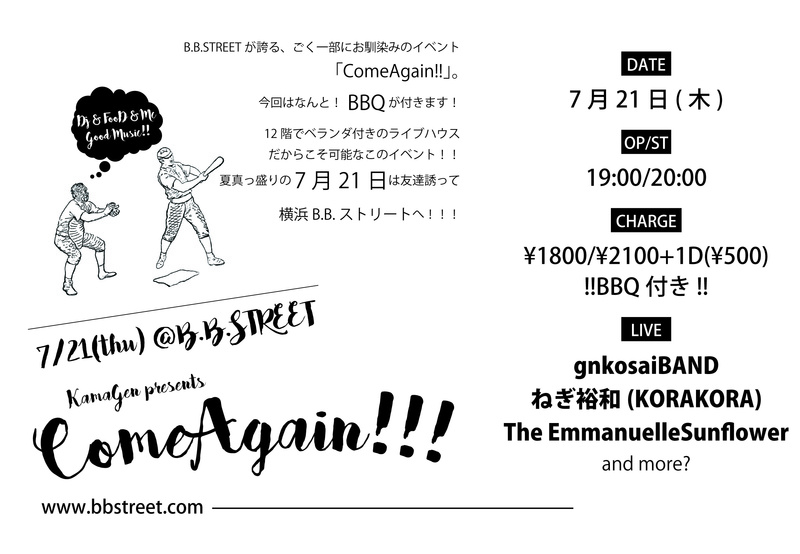 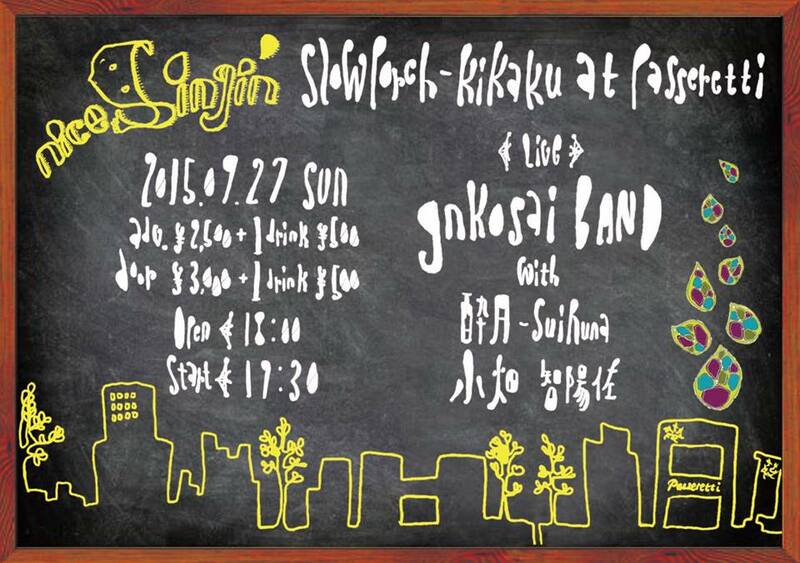 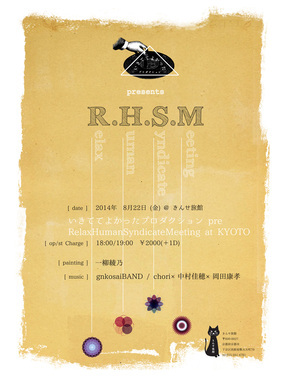 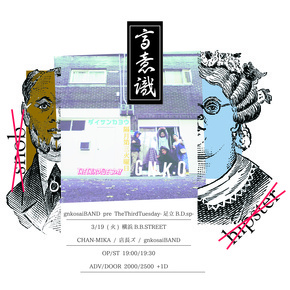 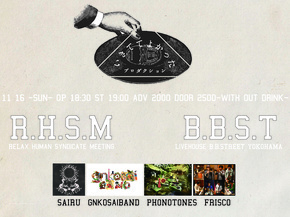 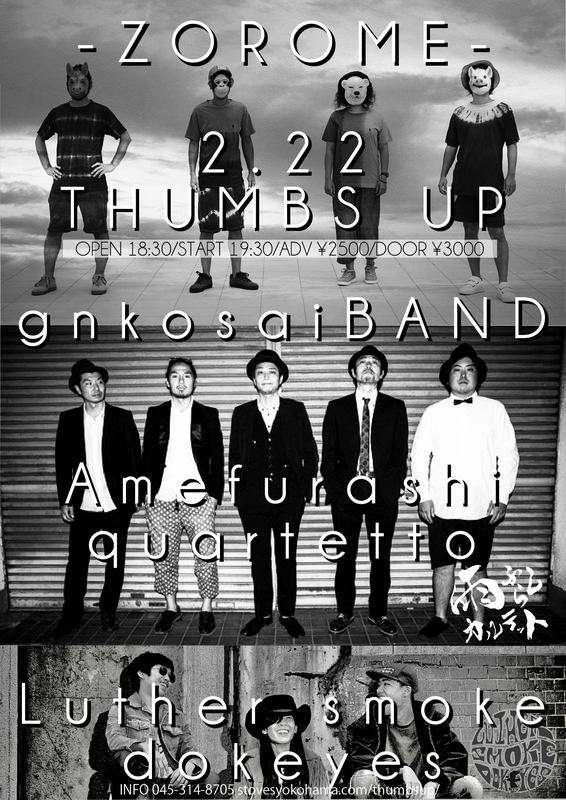 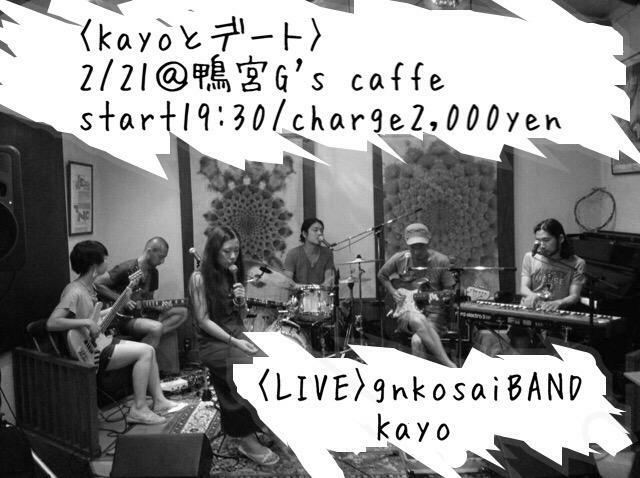 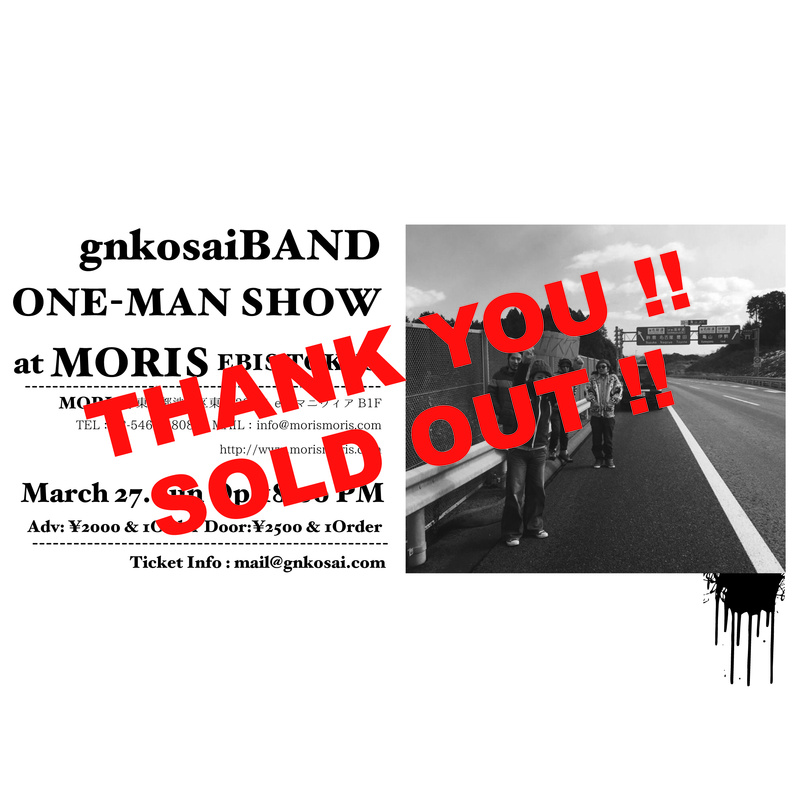 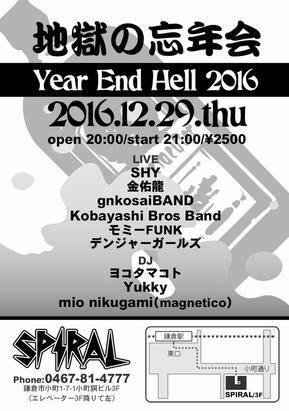 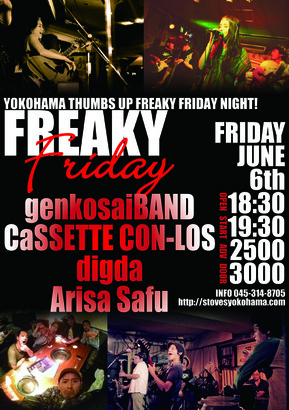 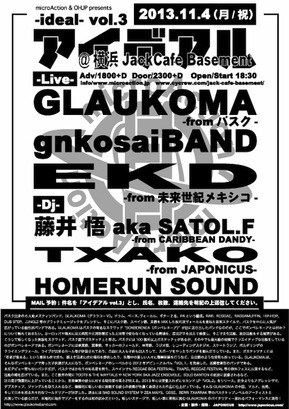 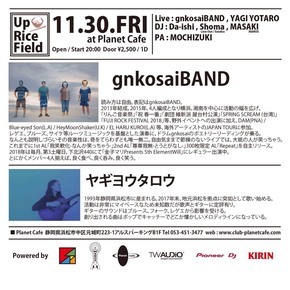 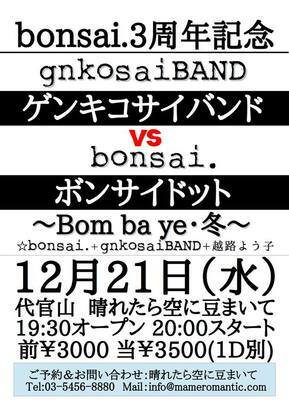 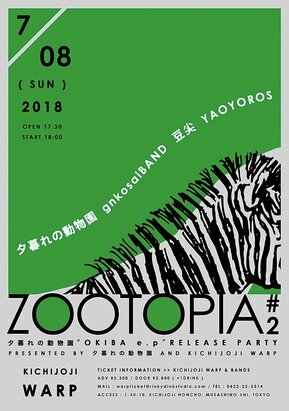 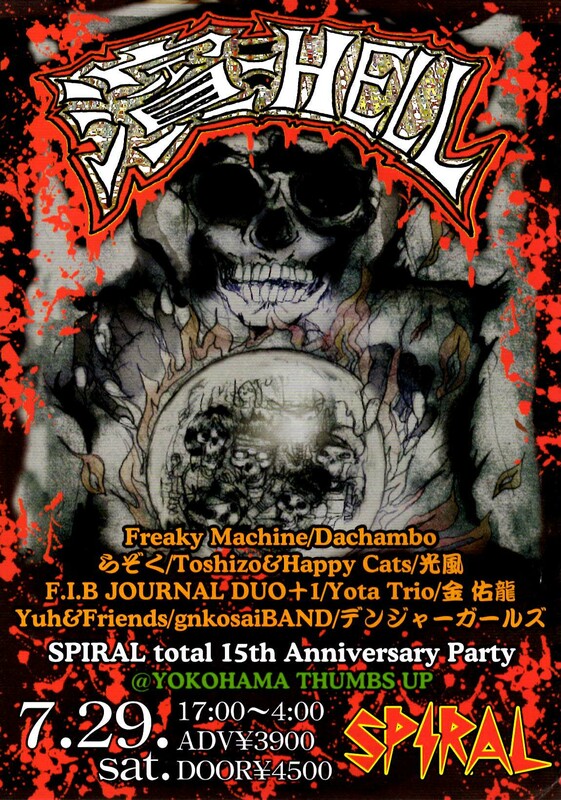 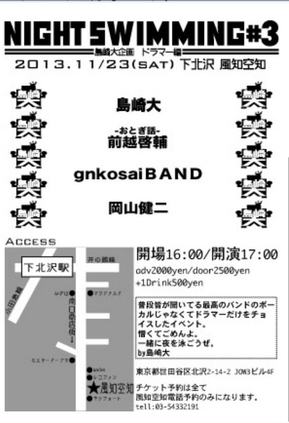 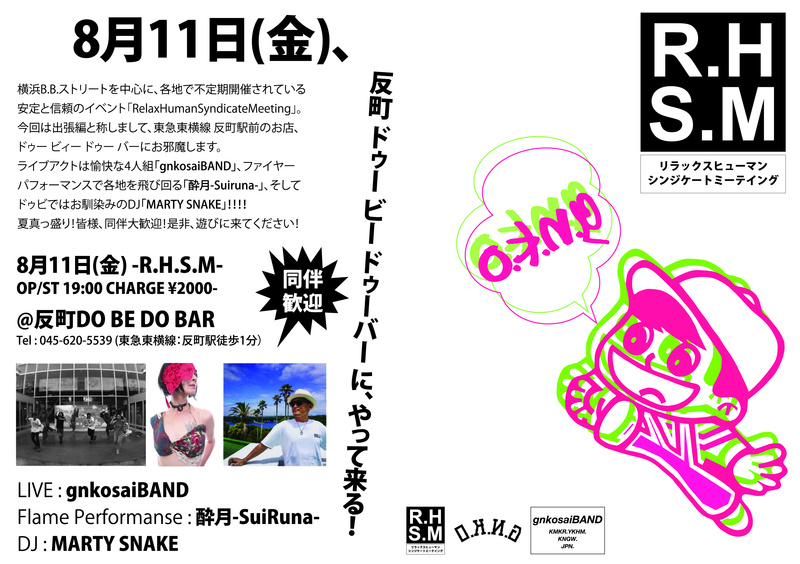 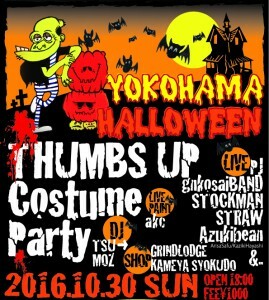 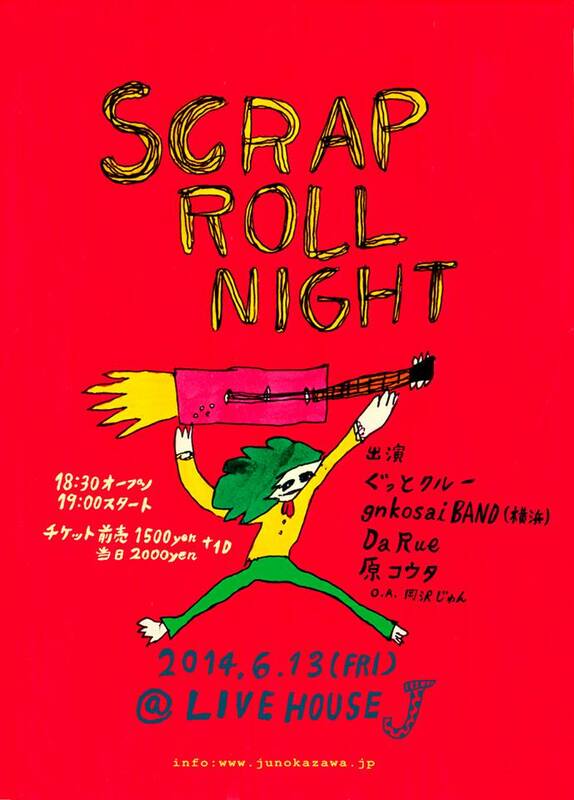 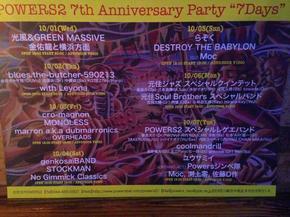 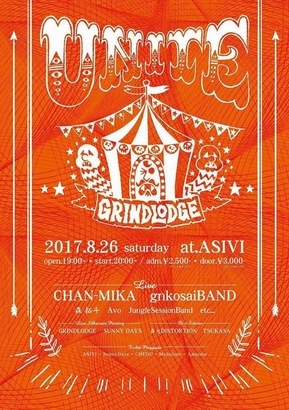 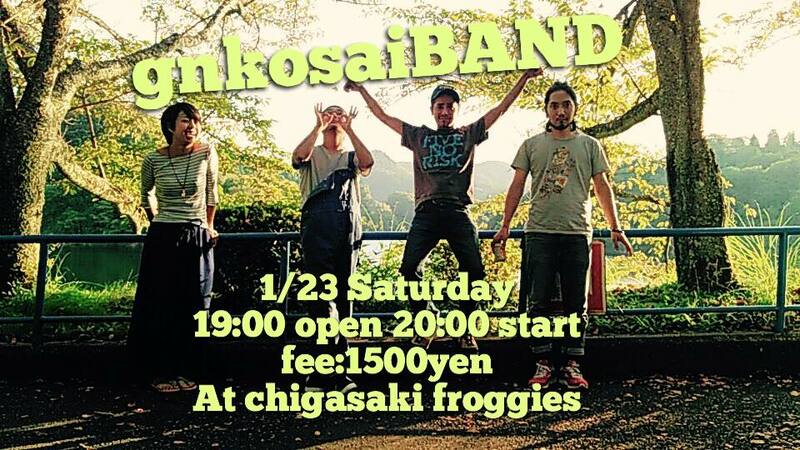 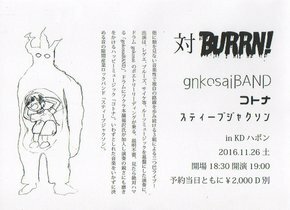 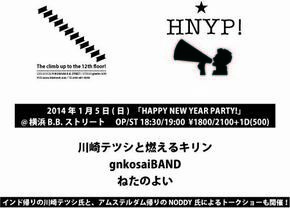 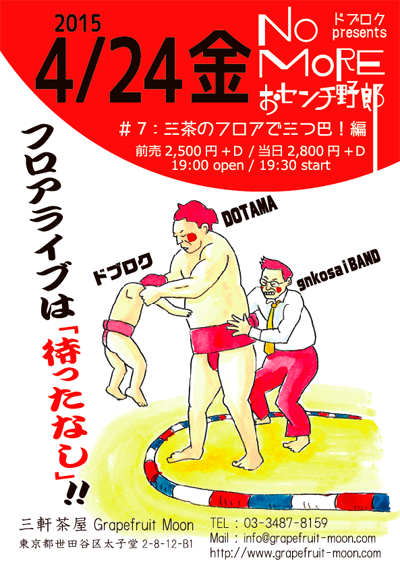 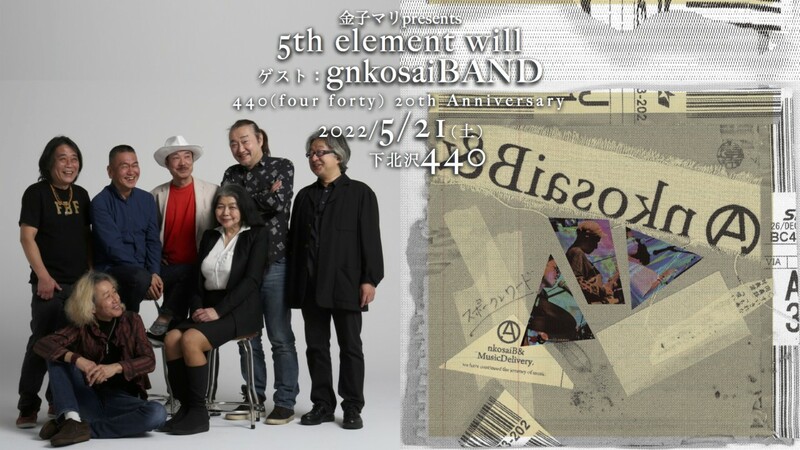 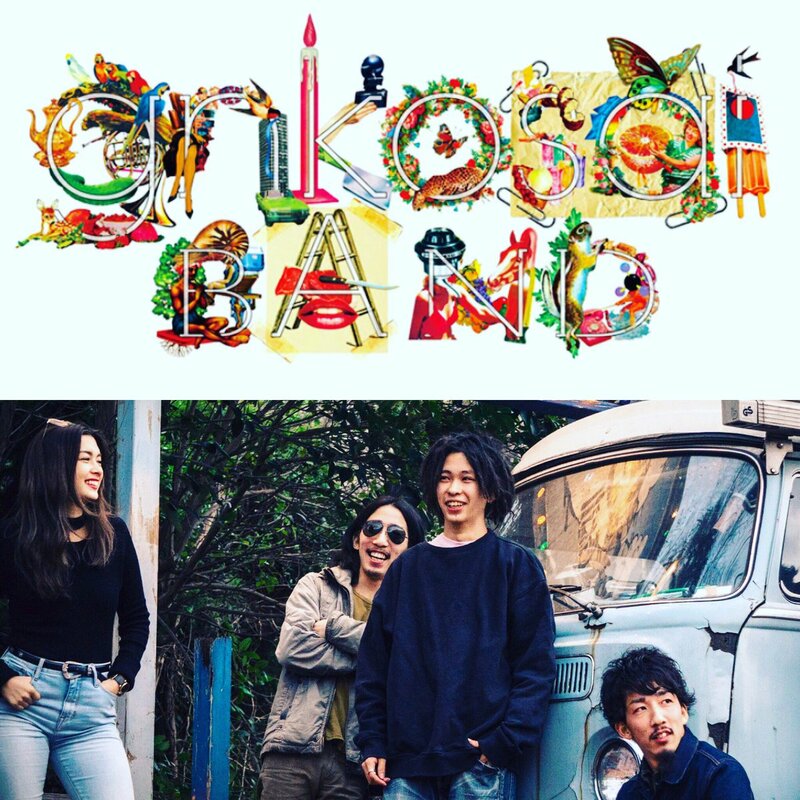 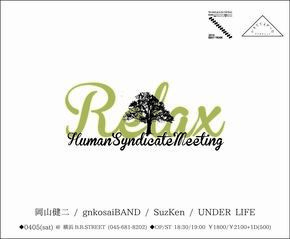 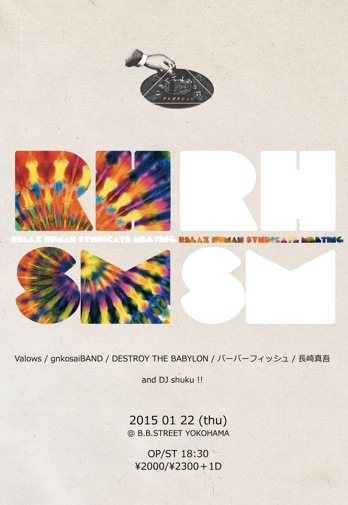 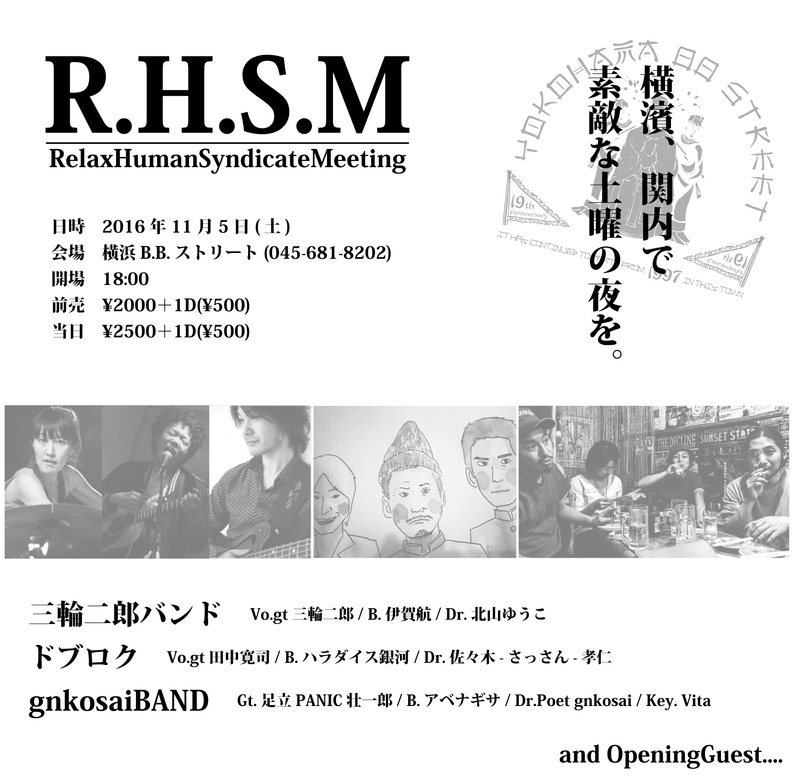 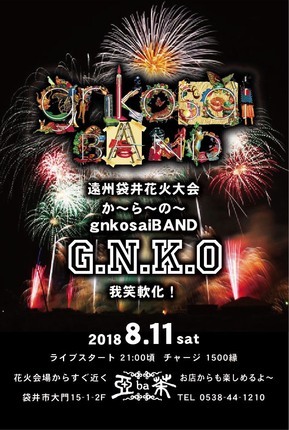 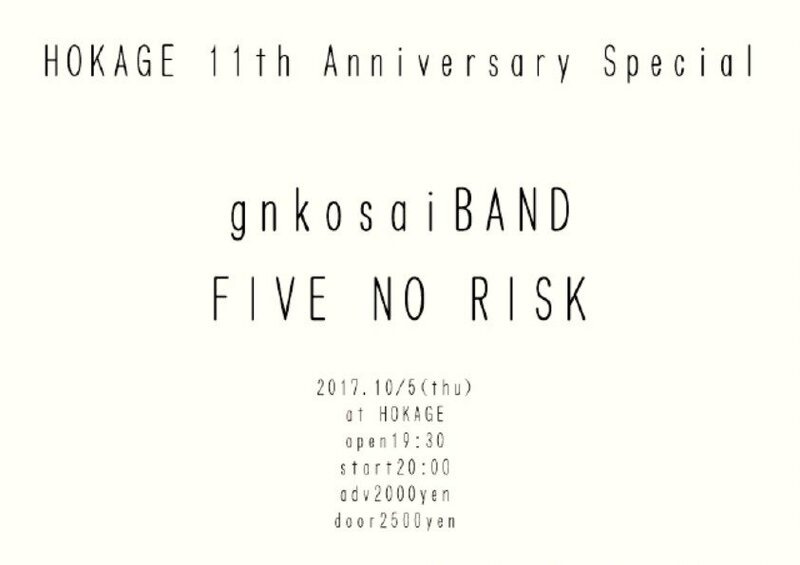 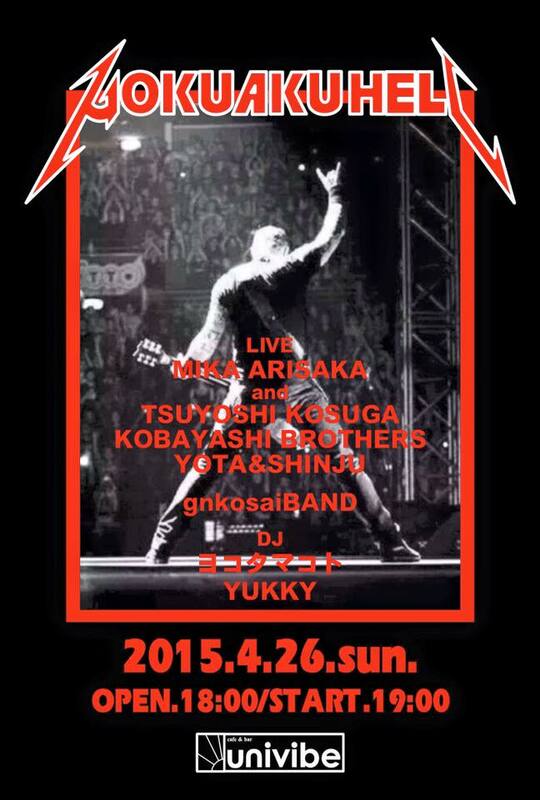 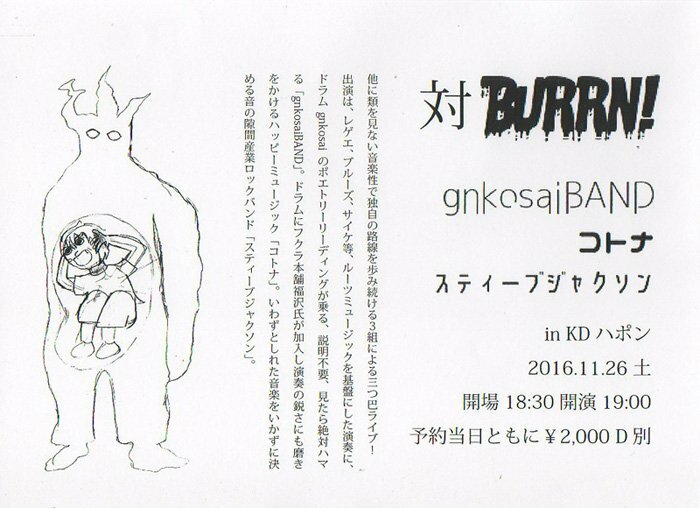 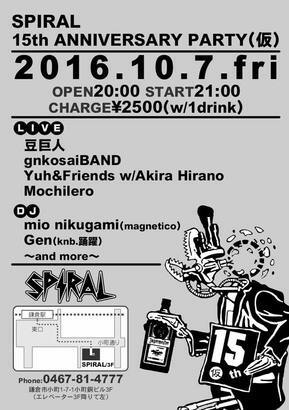 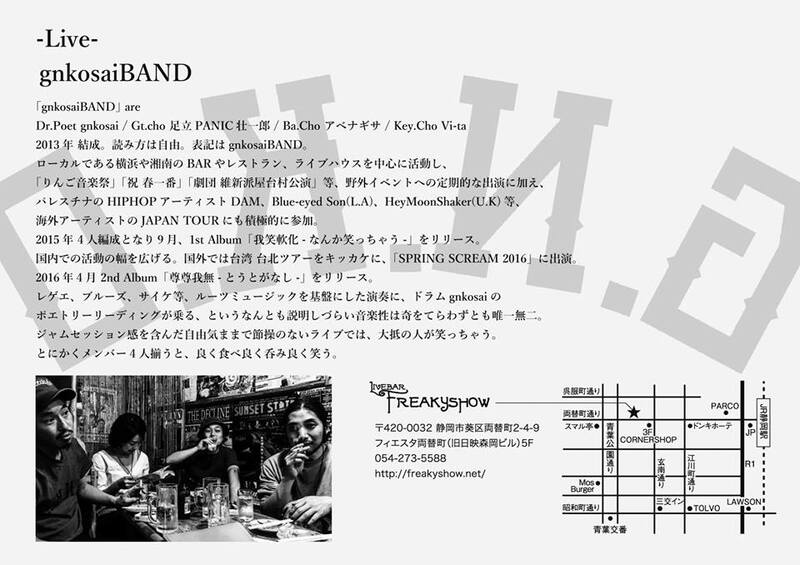 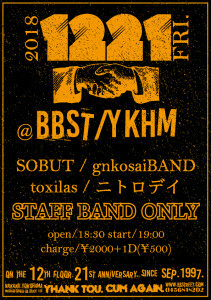 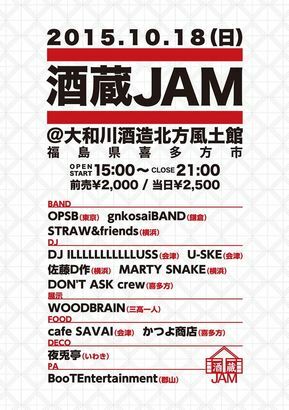 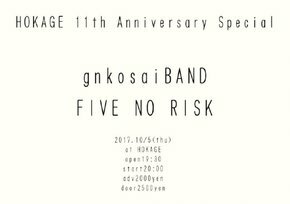 gnkosaiBAND pre [R.H.S.M] for B.B.STREET 21th ANIV. 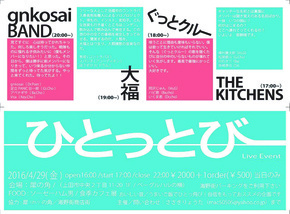 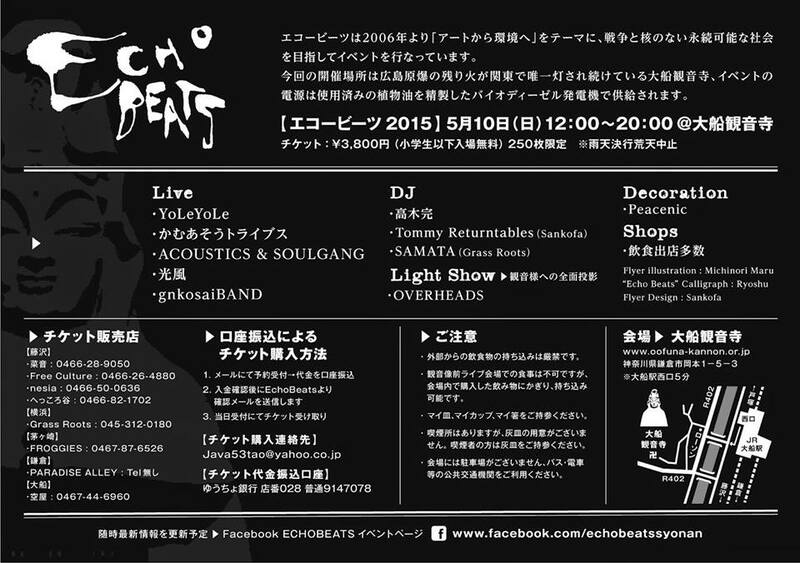 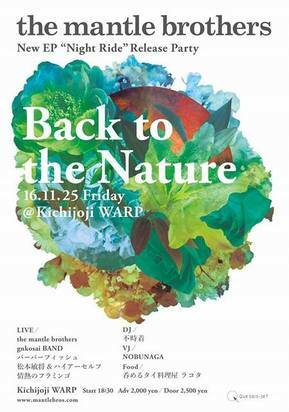 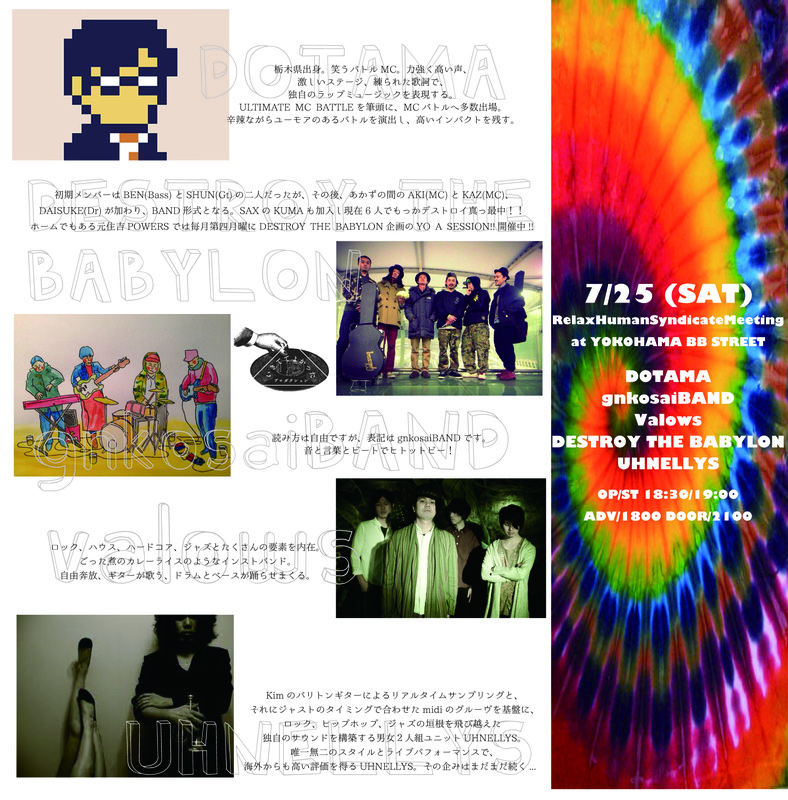 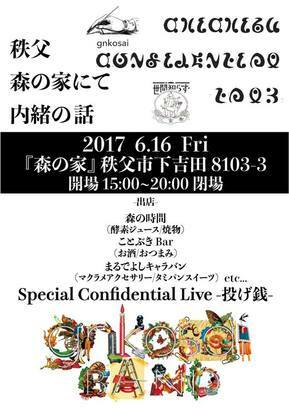 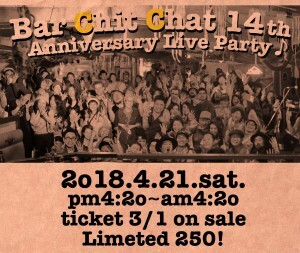 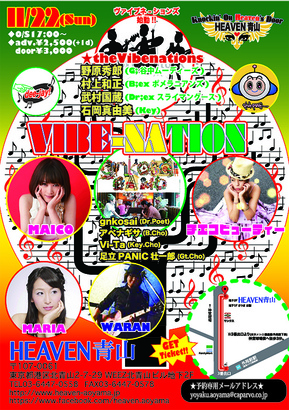 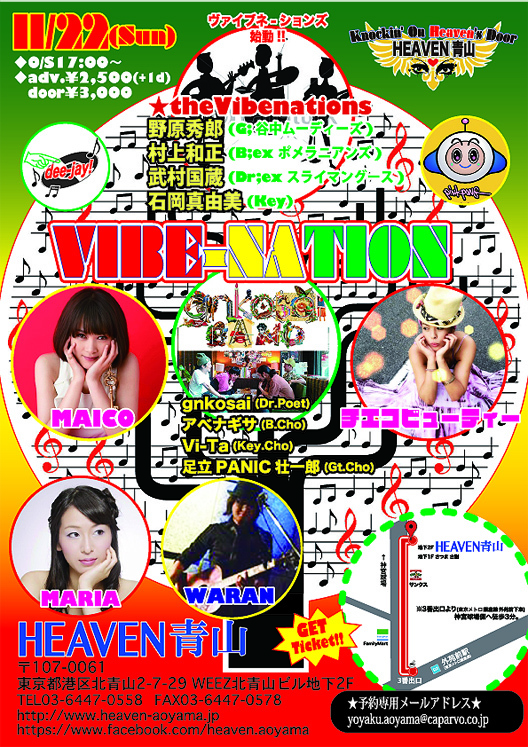 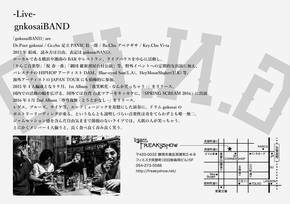 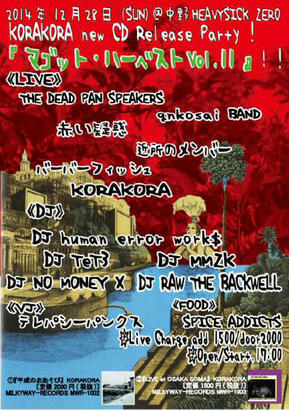 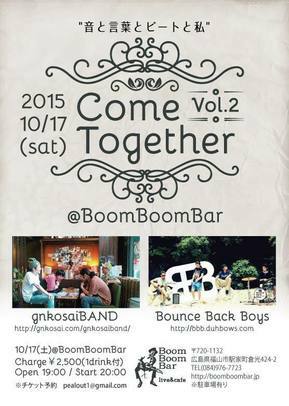 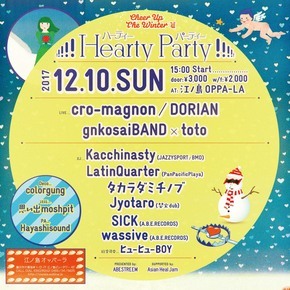 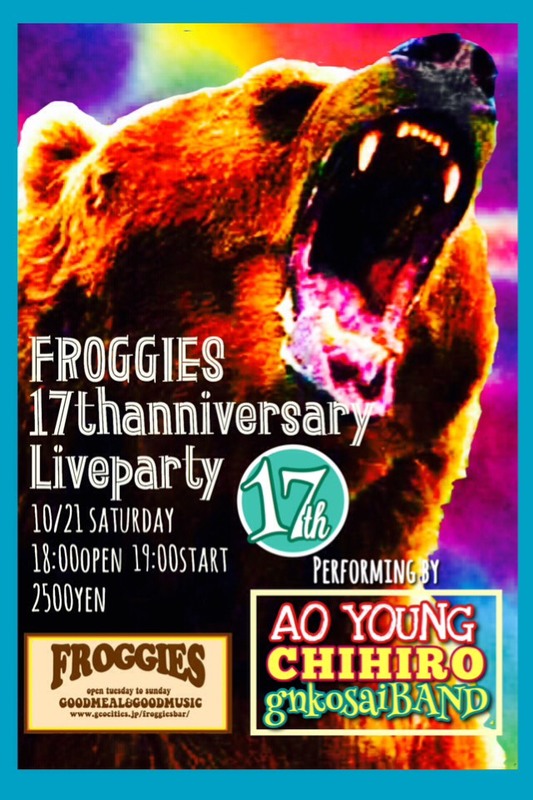 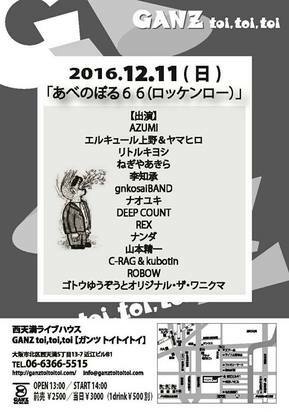 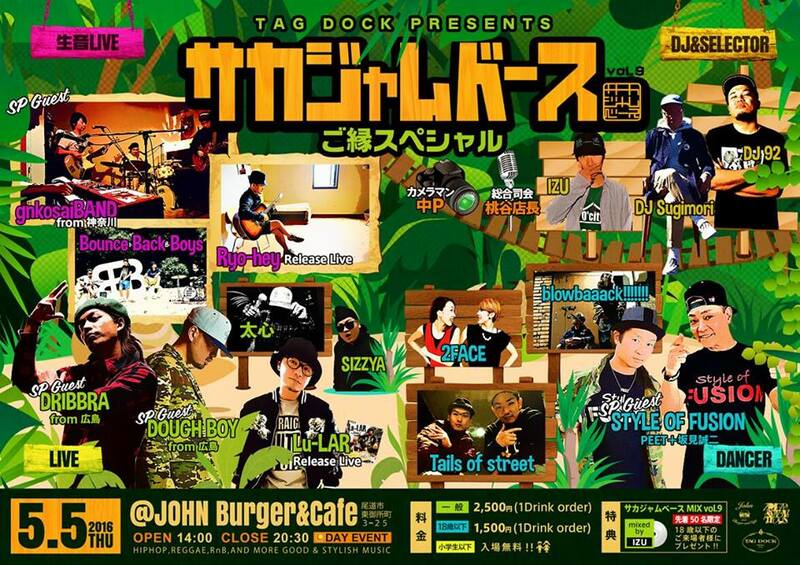 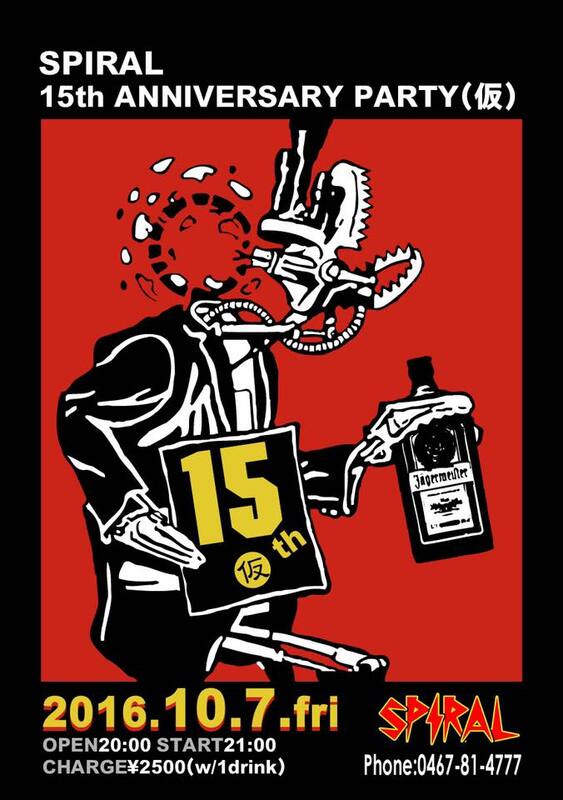 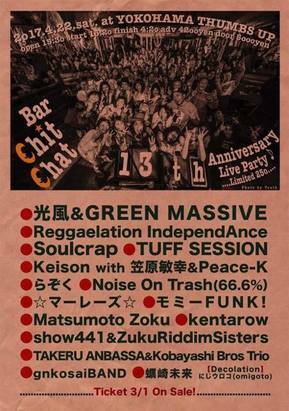 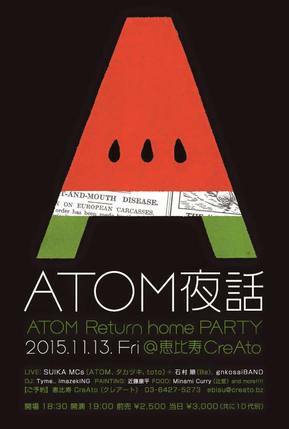 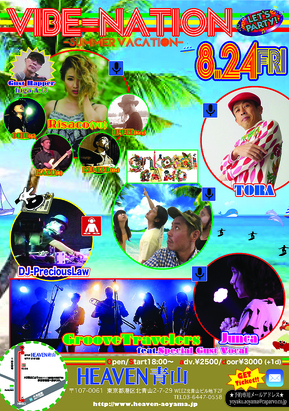 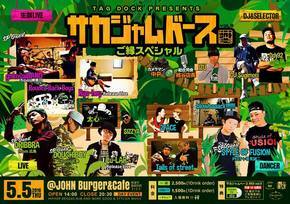 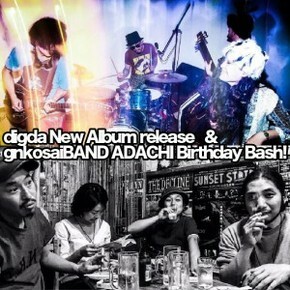 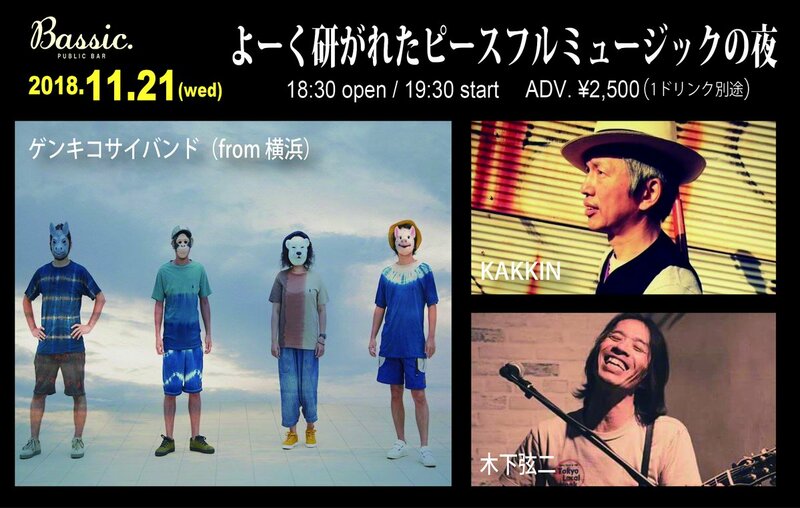 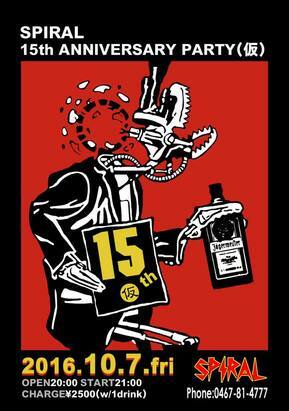 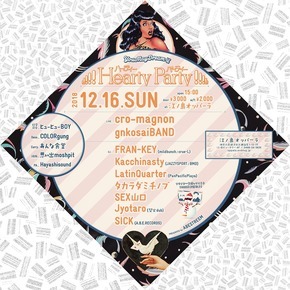 "Bar Chit Chat 14th Anniversary Live Party! " 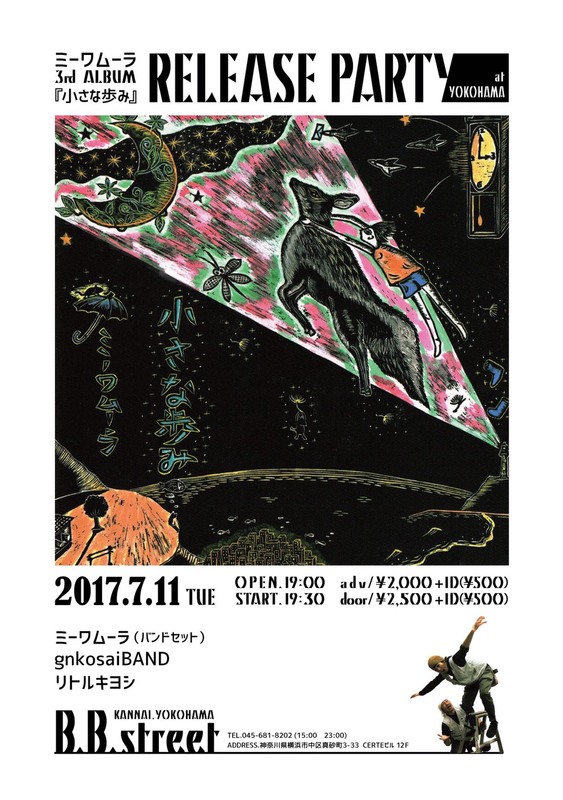 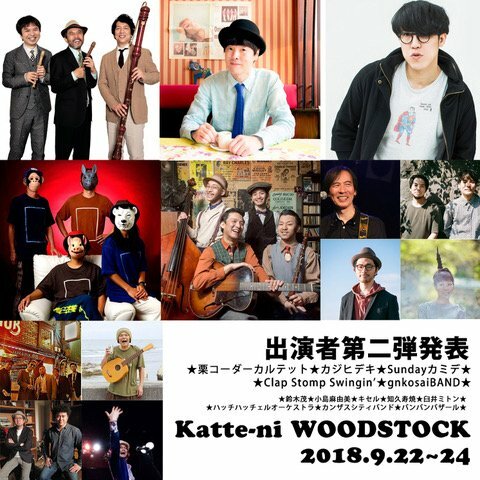 リトルキヨシ / 檸檬葉(レモンリーフ) / and more!! 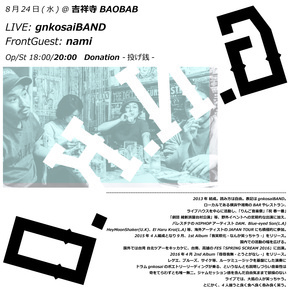 らぞく / Noise On Trash(66.6%) / ☆マーレーズ☆ / モミーFUNK! 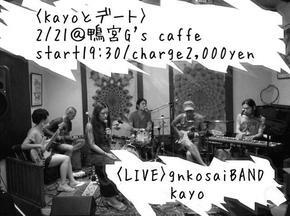 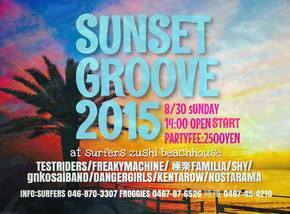 w / LILY / RainbowSliders / kamaneko. 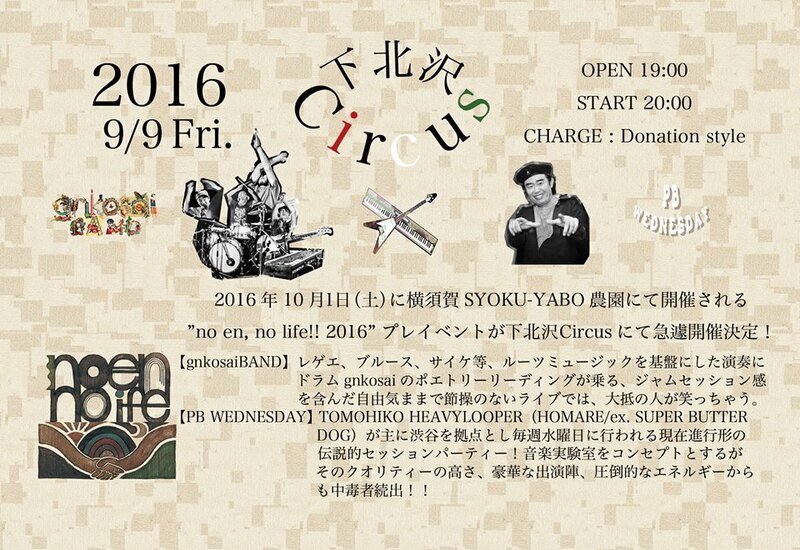 "no en, no life!! 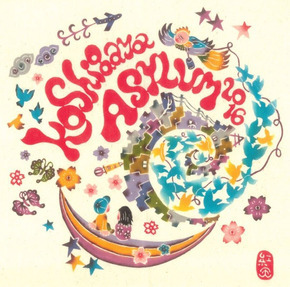 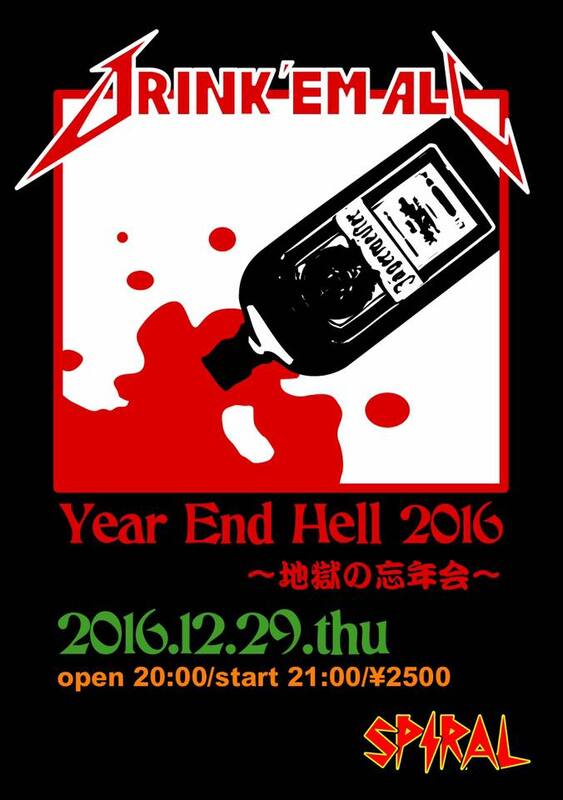 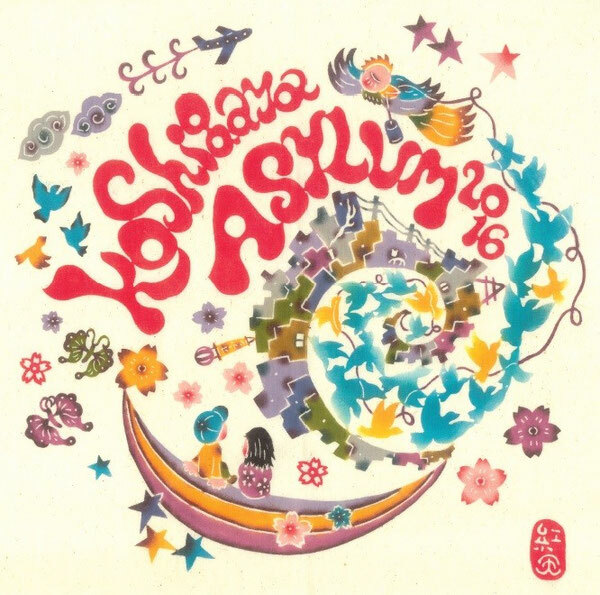 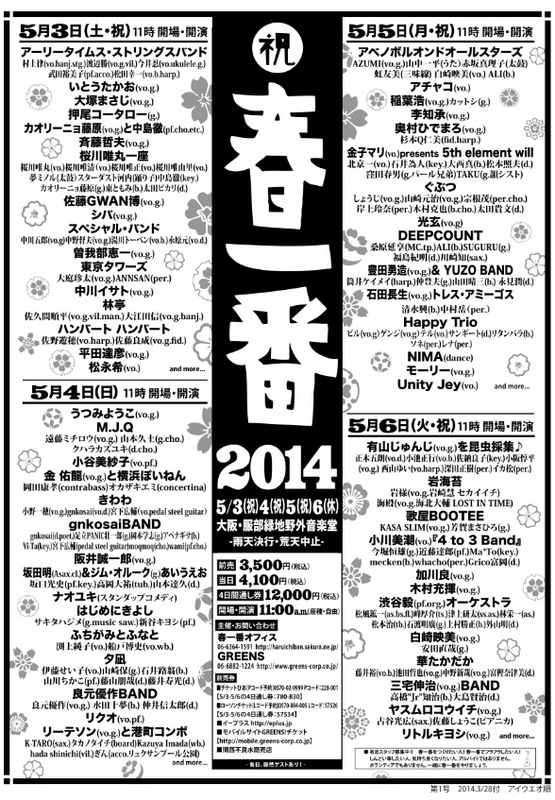 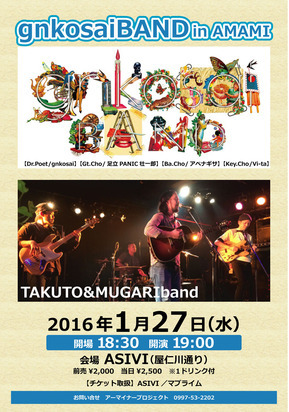 2016"プレイベント!! 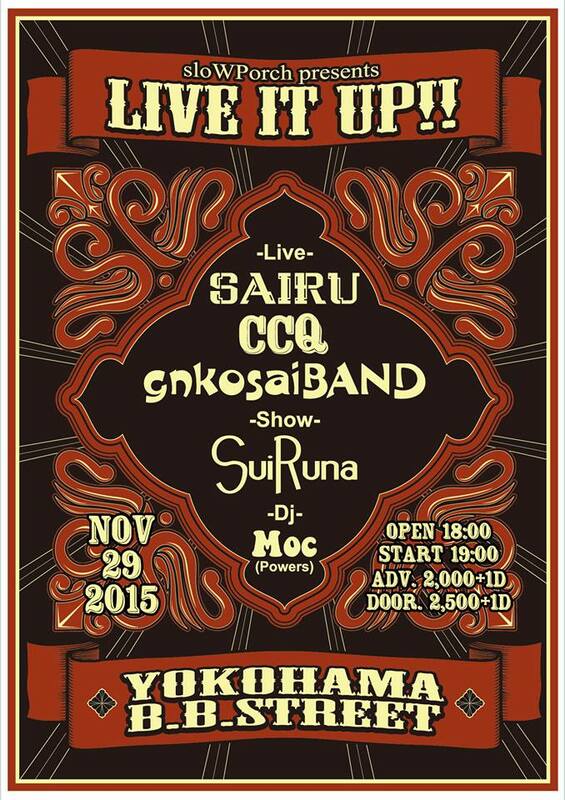 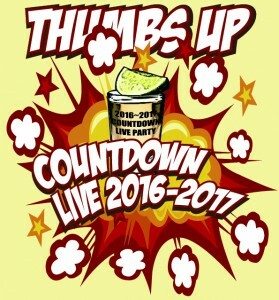 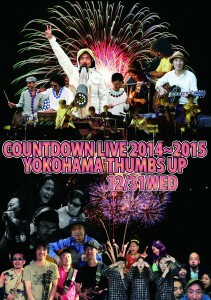 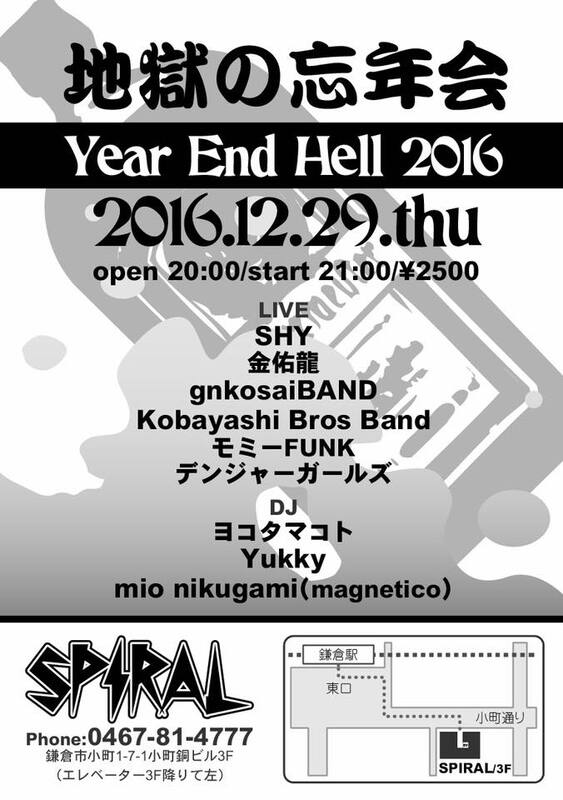 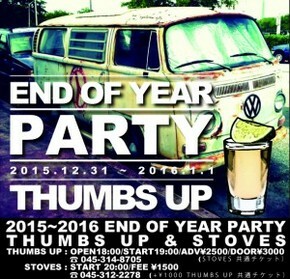 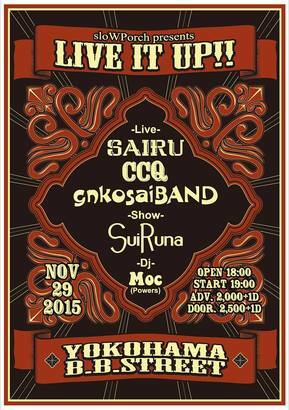 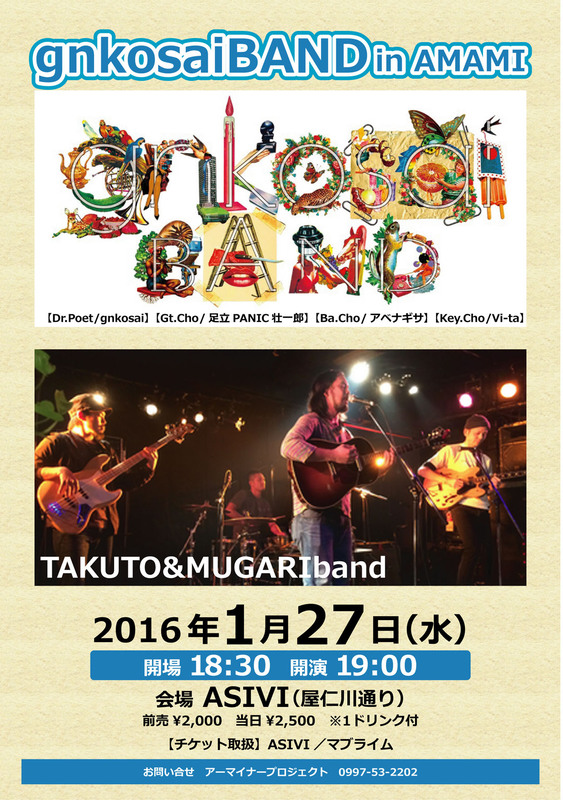 END OF YEAR PARTY-2015~2016 COUNTDOWN LIVE! 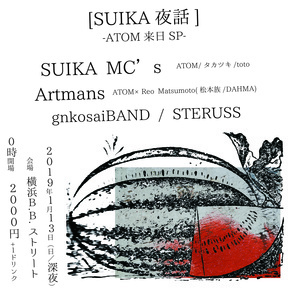 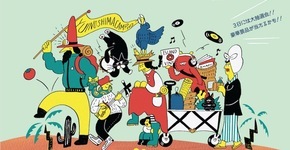 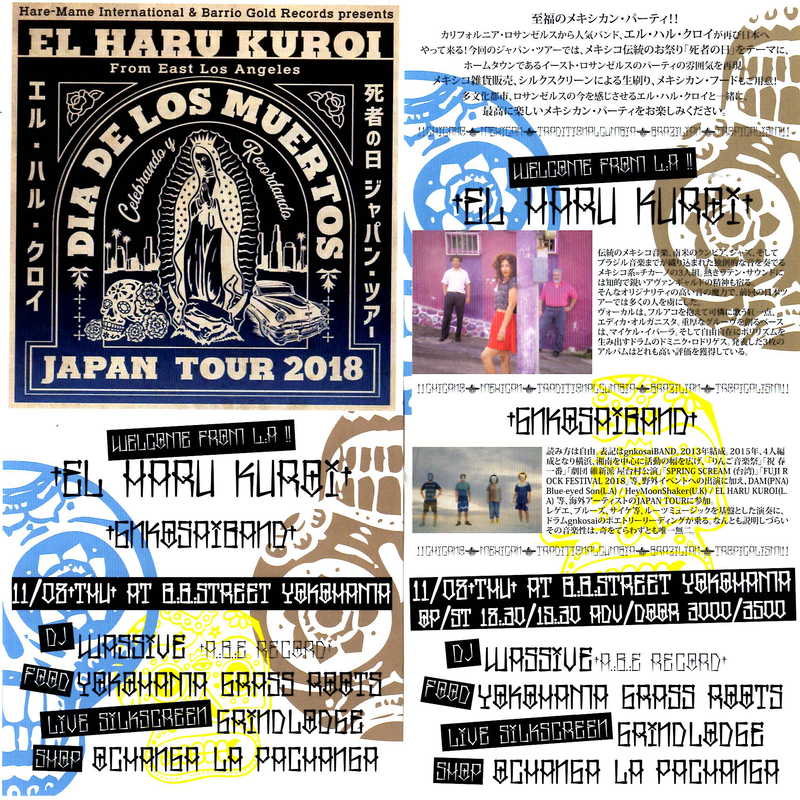 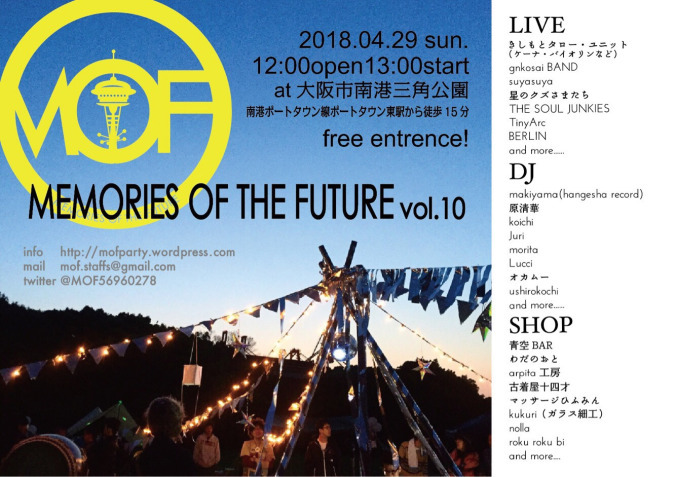 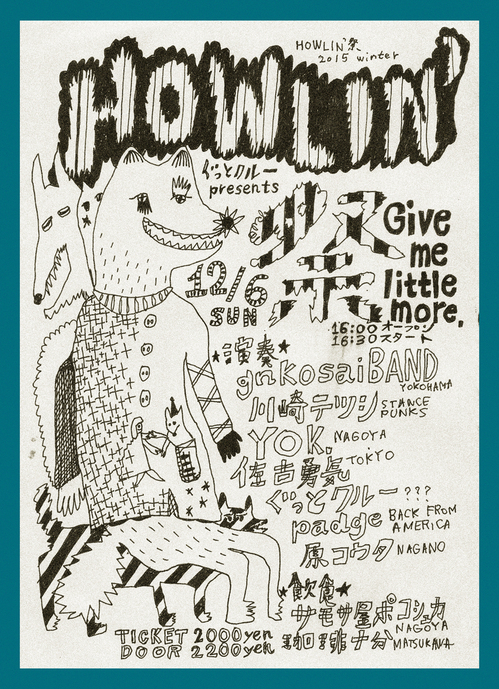 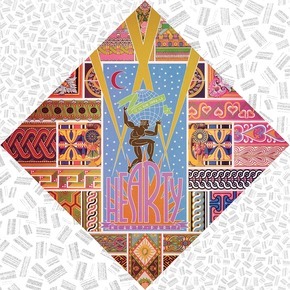 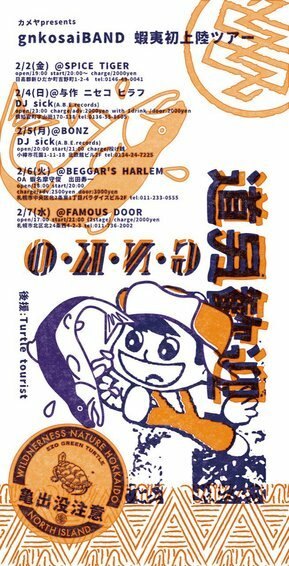 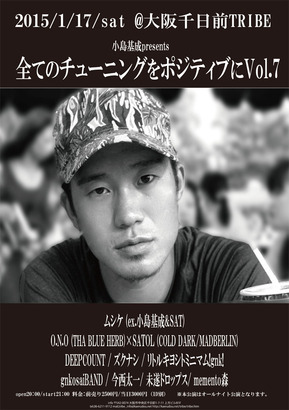 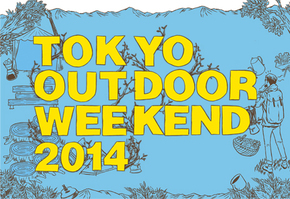 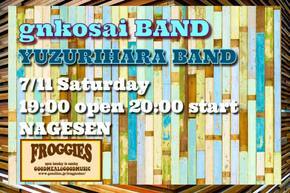 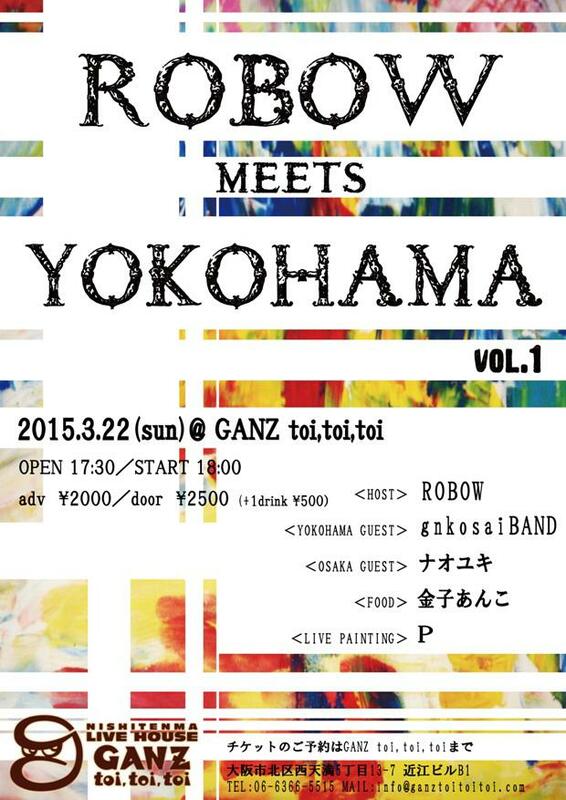 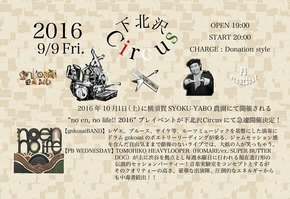 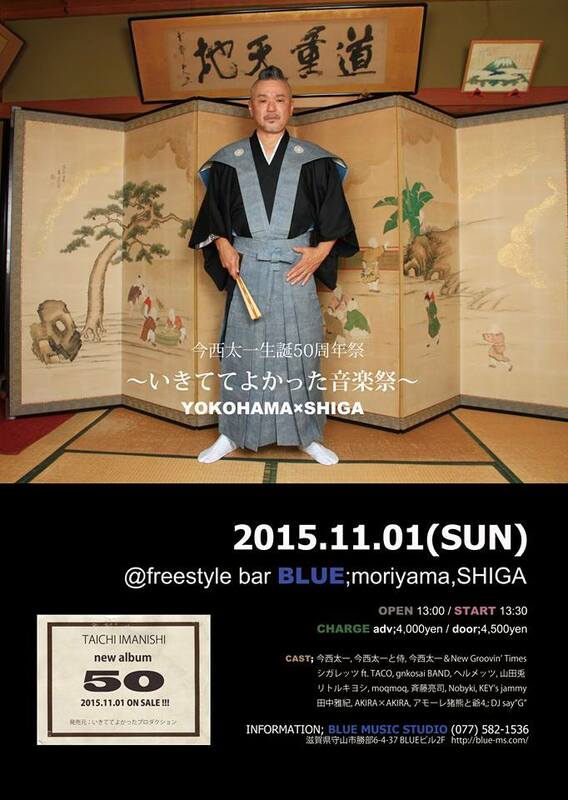 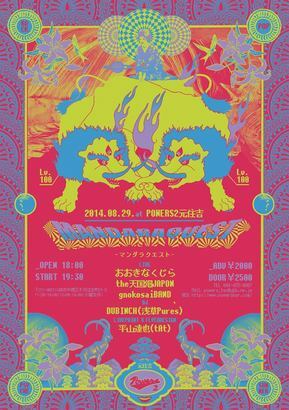 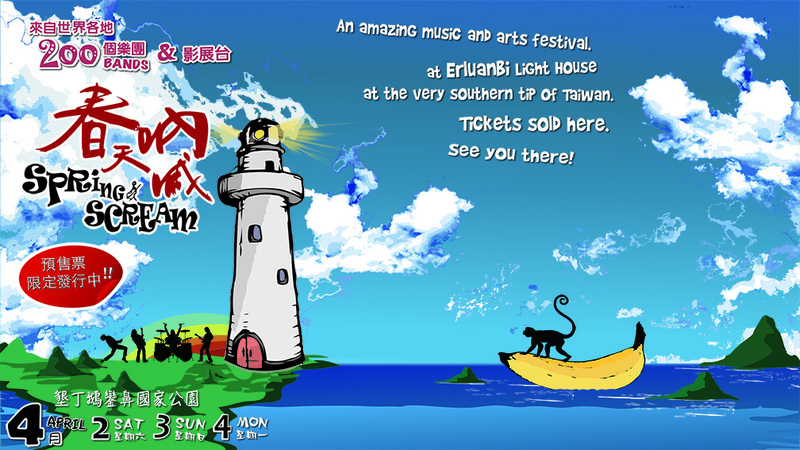 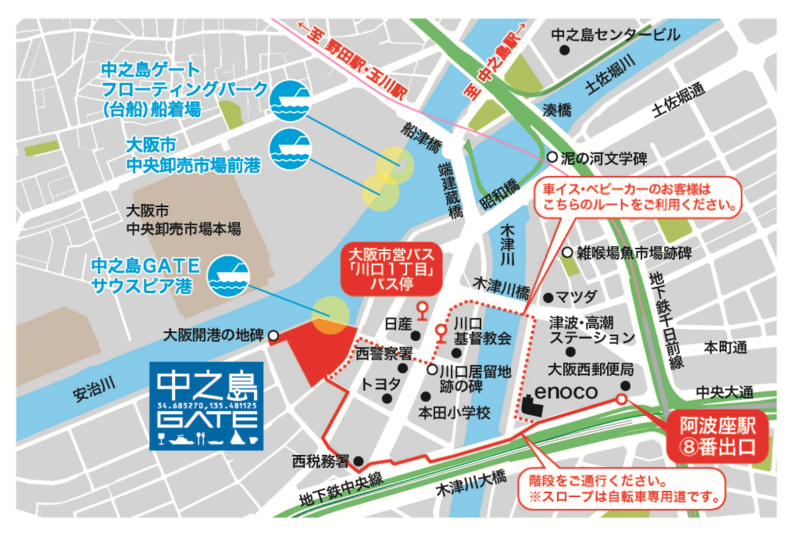 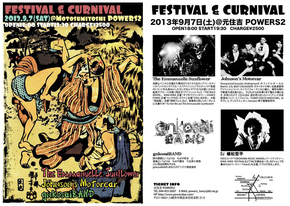 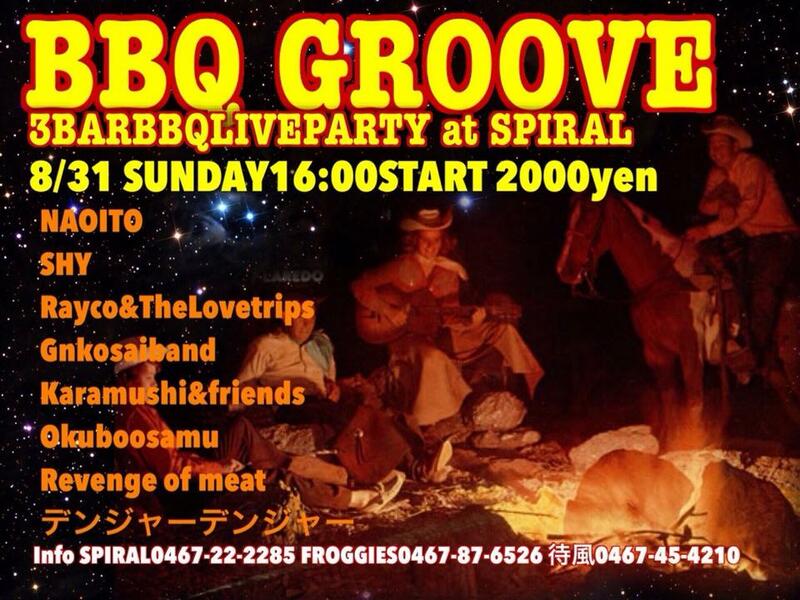 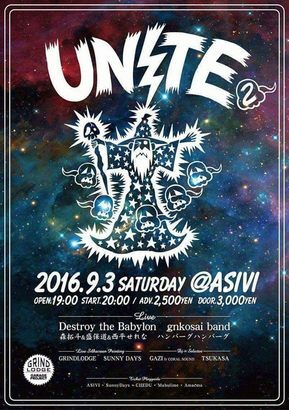 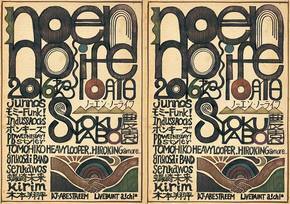 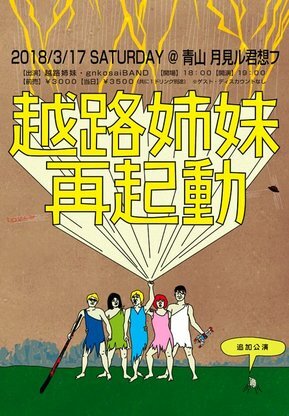 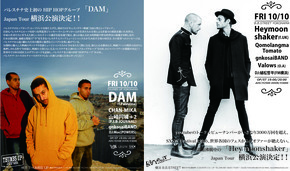 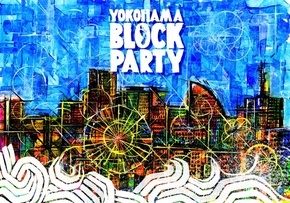 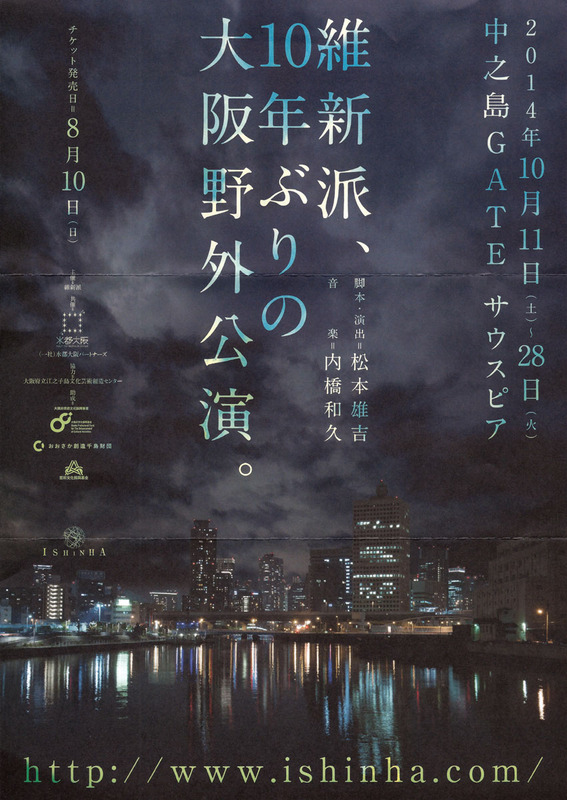 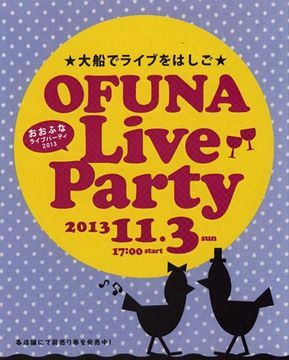 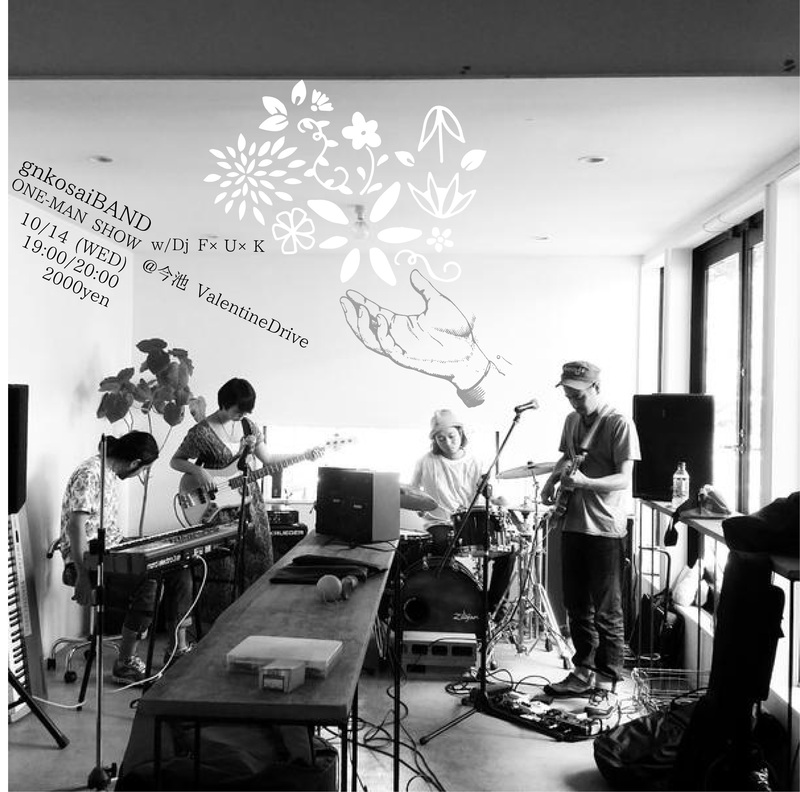 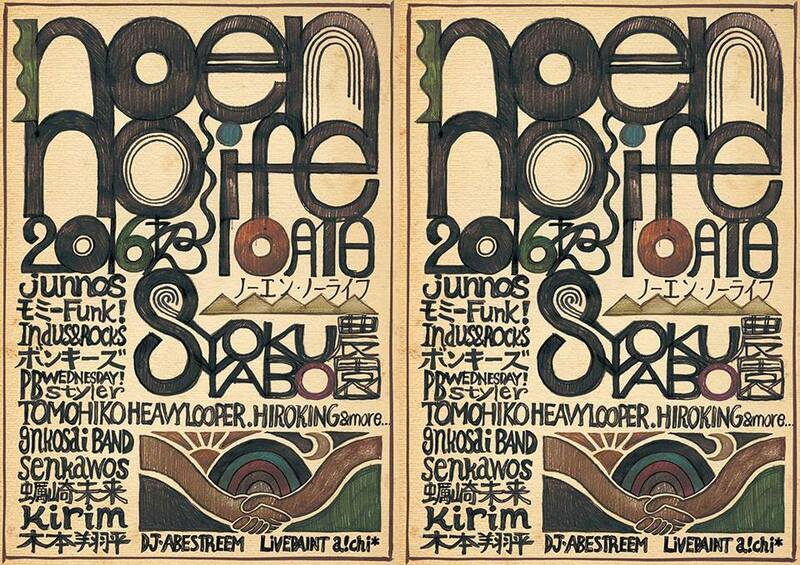 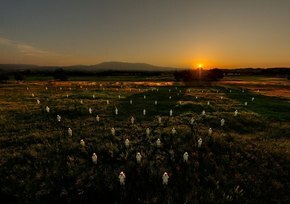 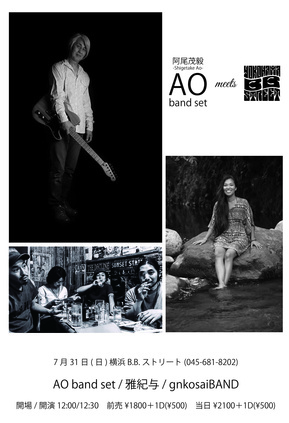 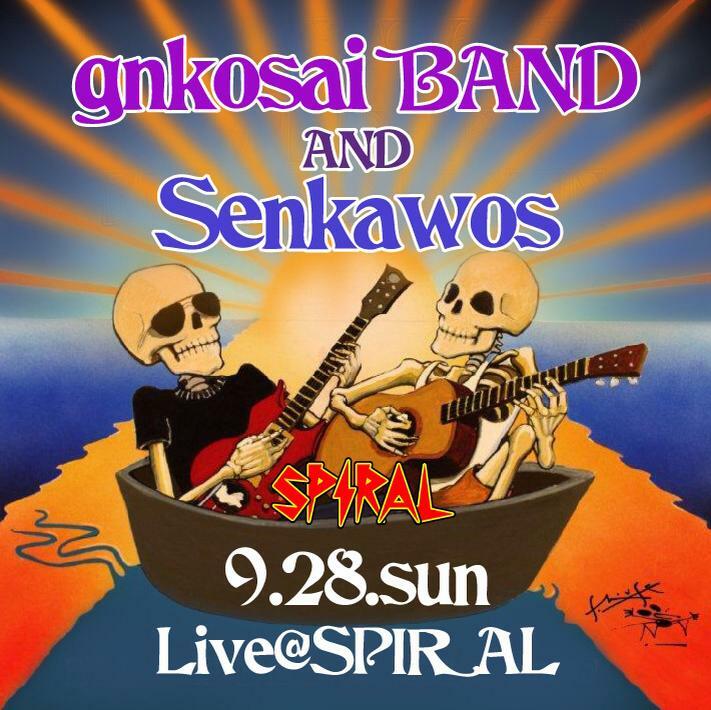 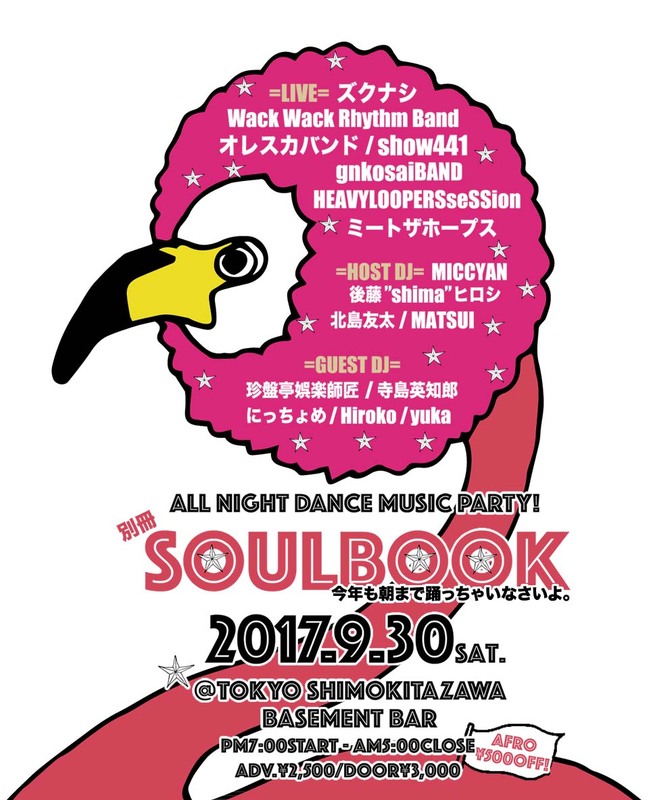 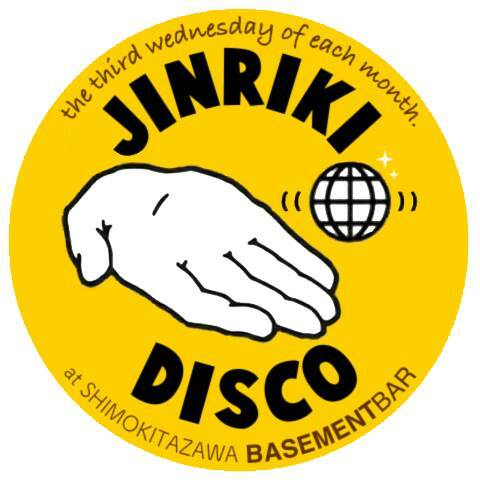 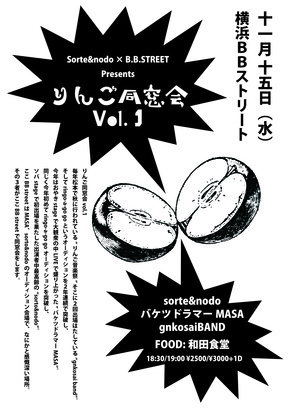 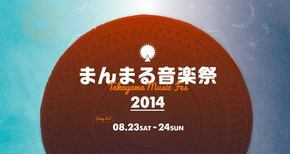 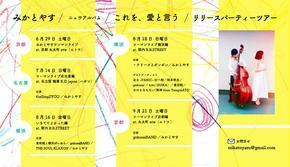 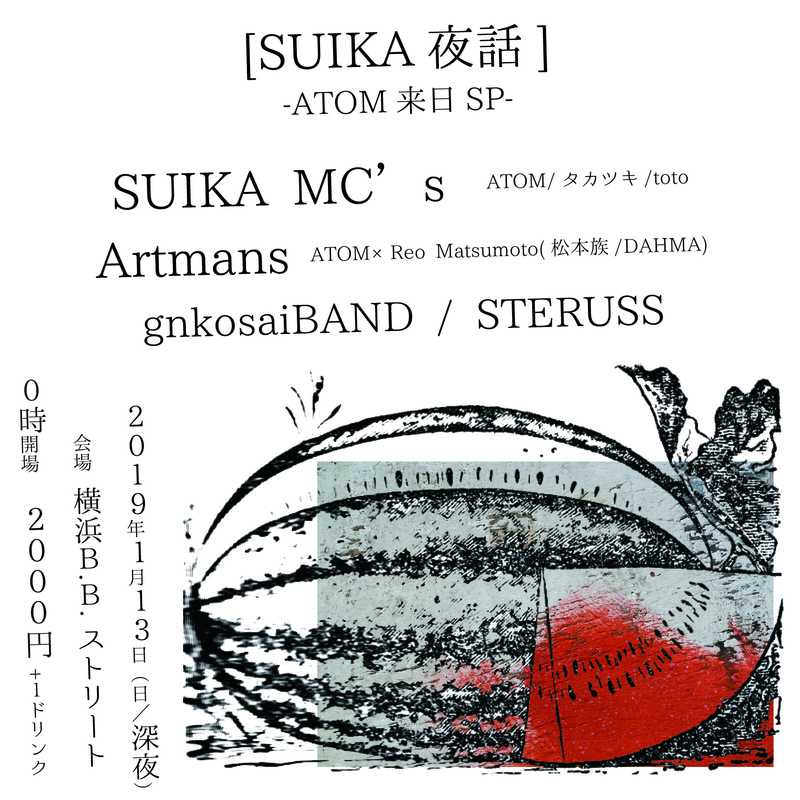 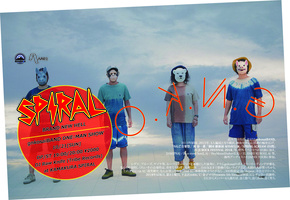 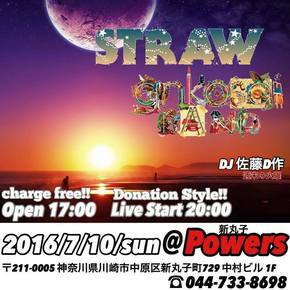 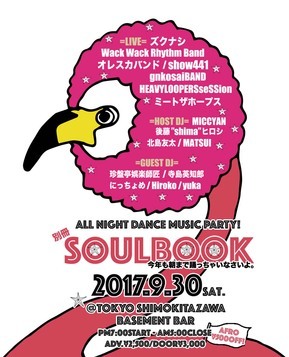 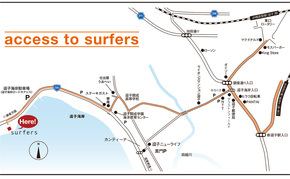 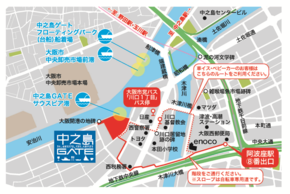 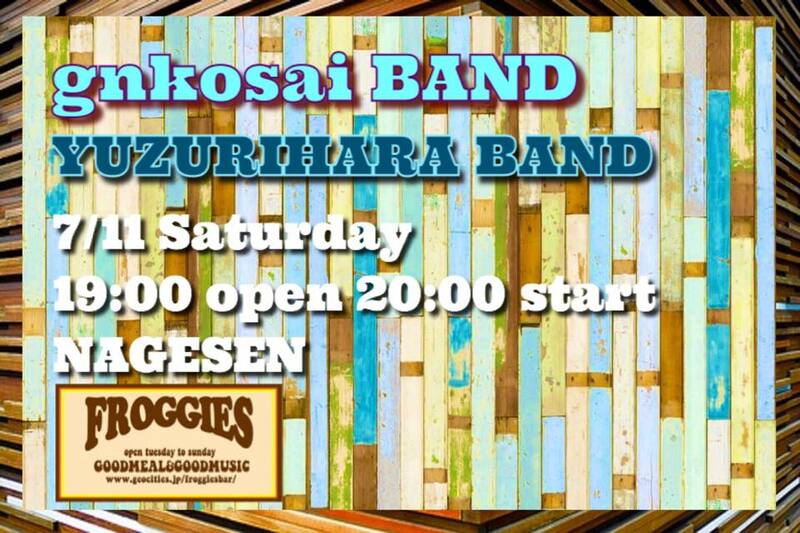 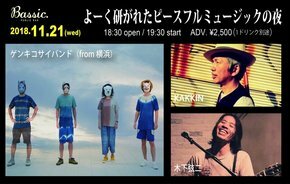 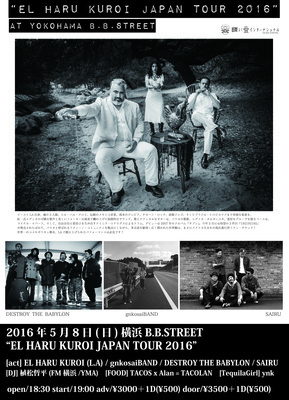 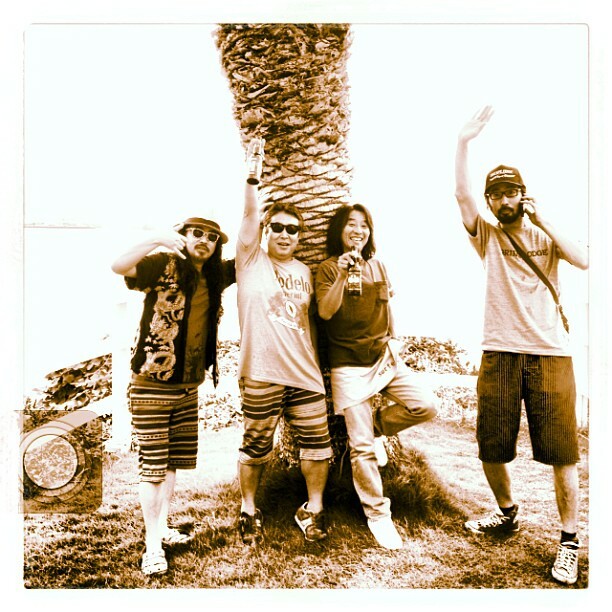 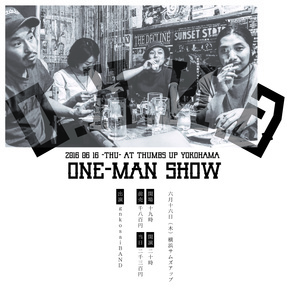 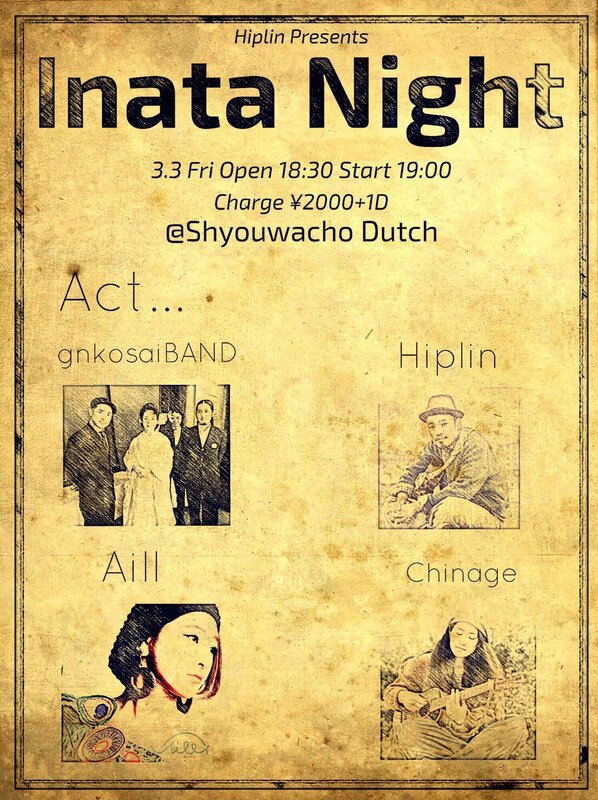 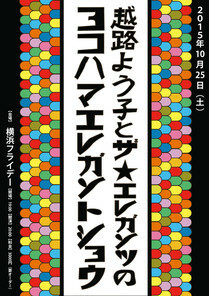 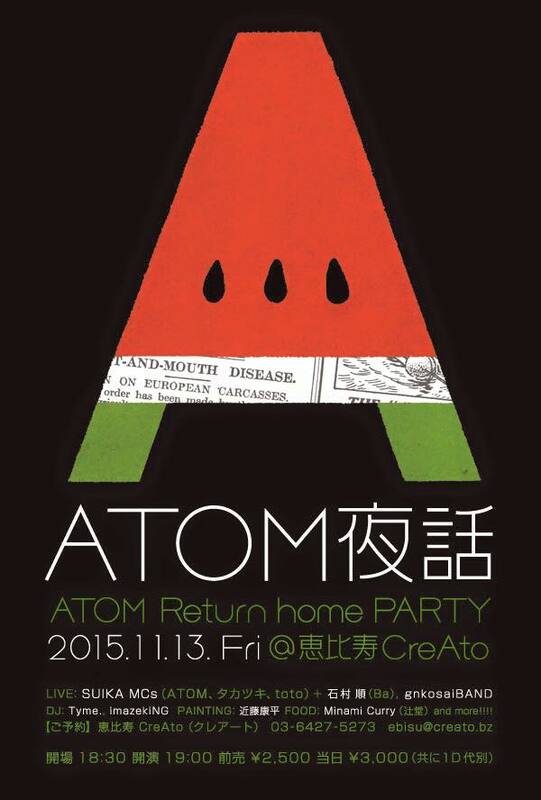 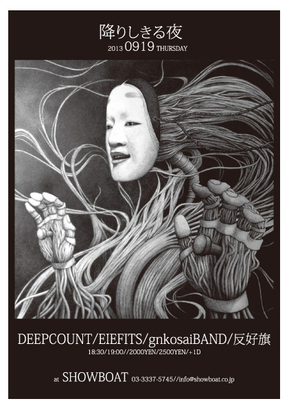 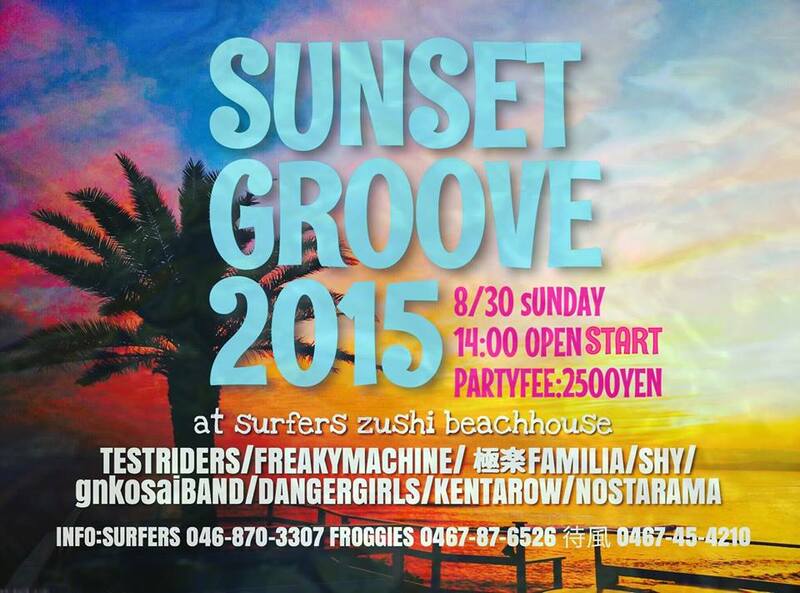 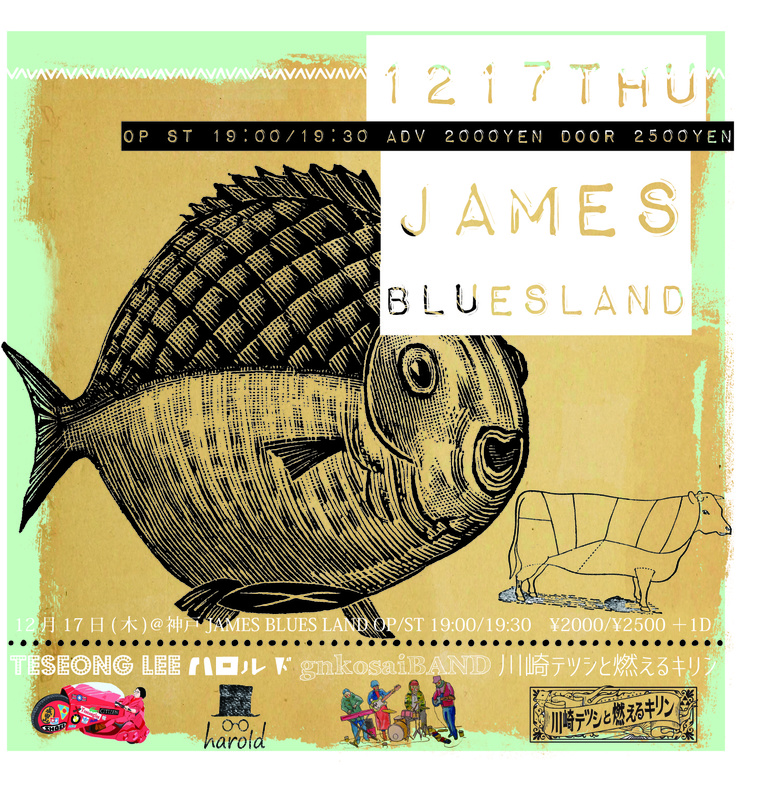 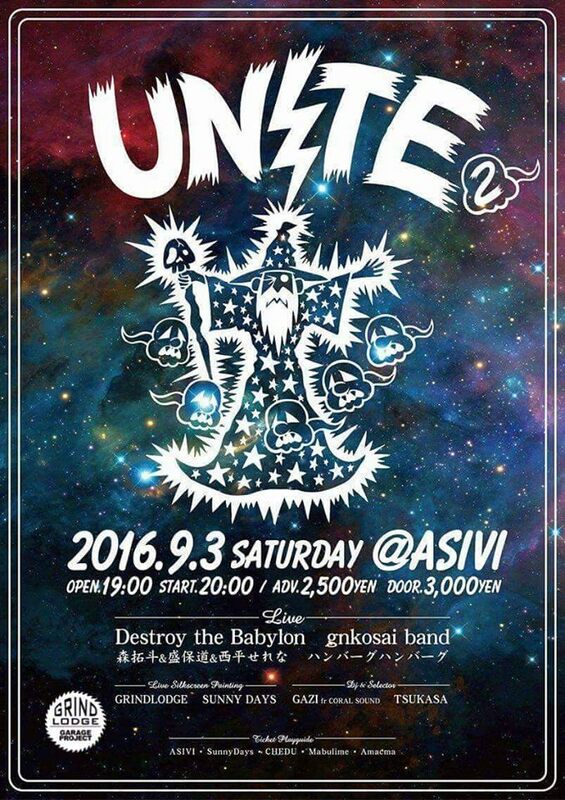 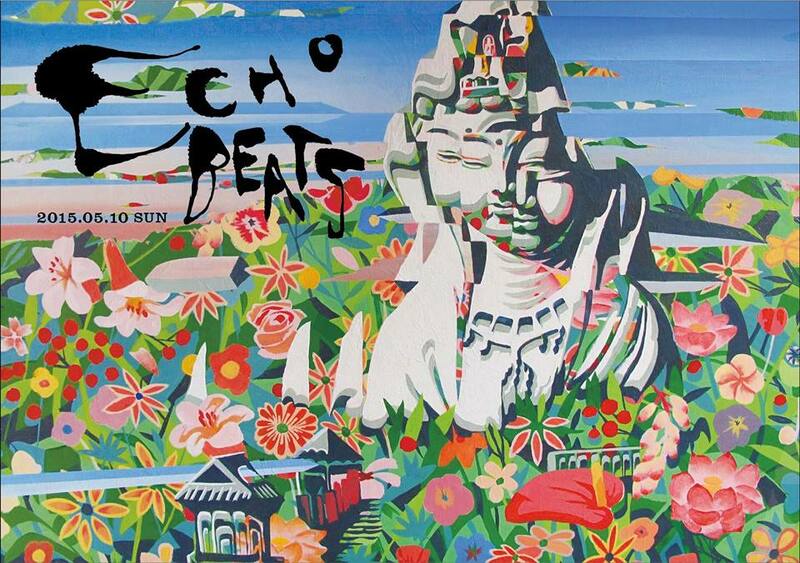 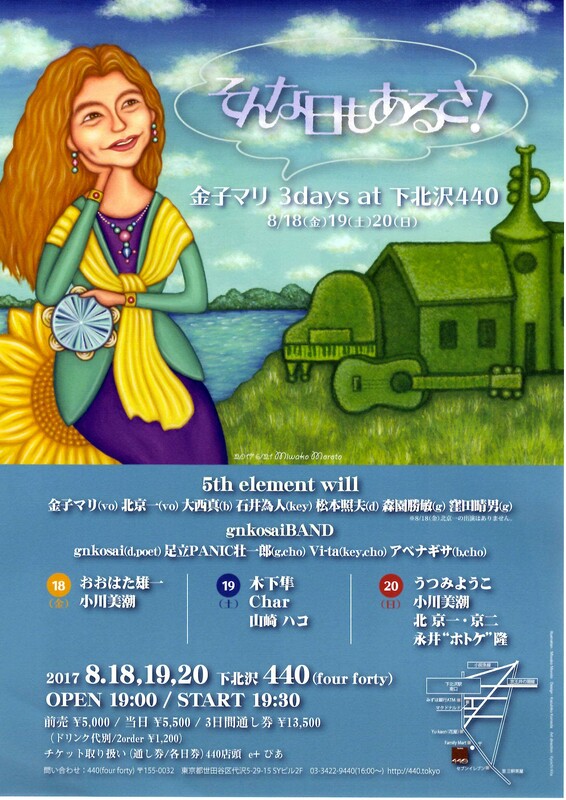 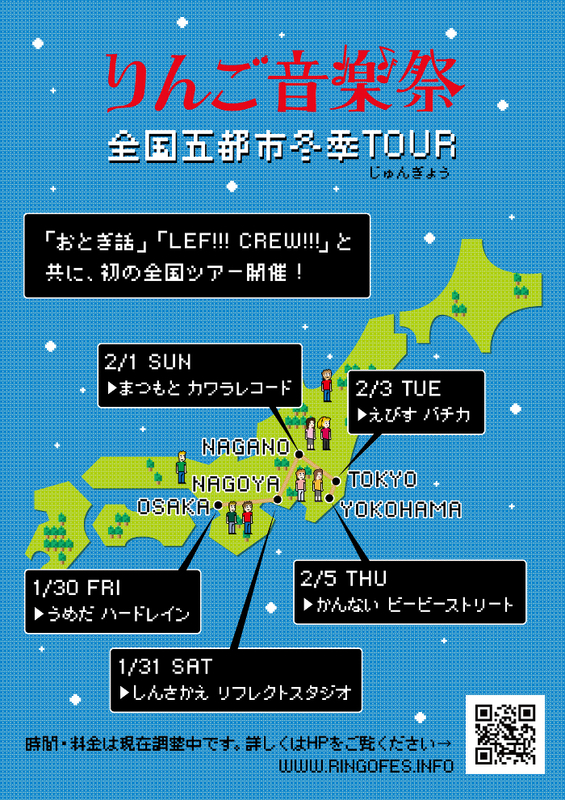 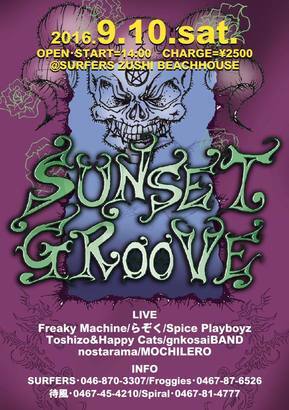 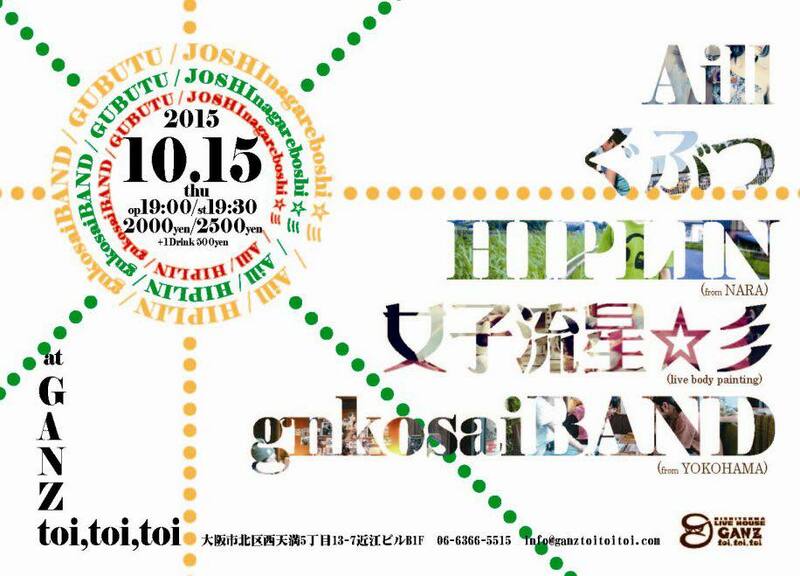 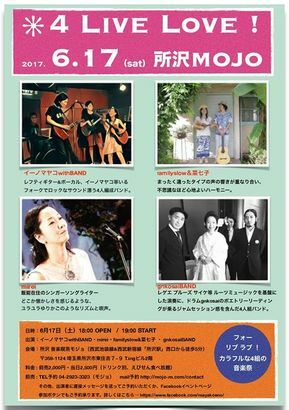 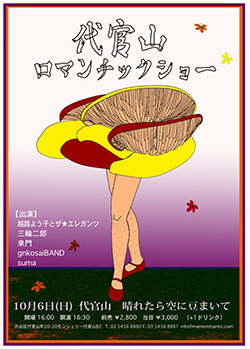 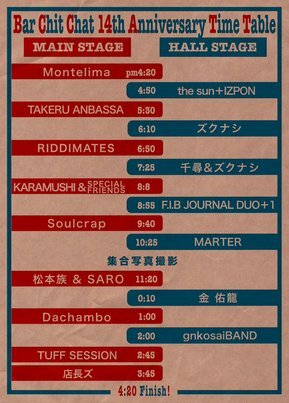 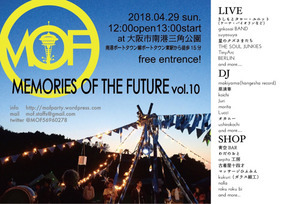 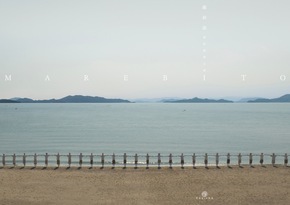 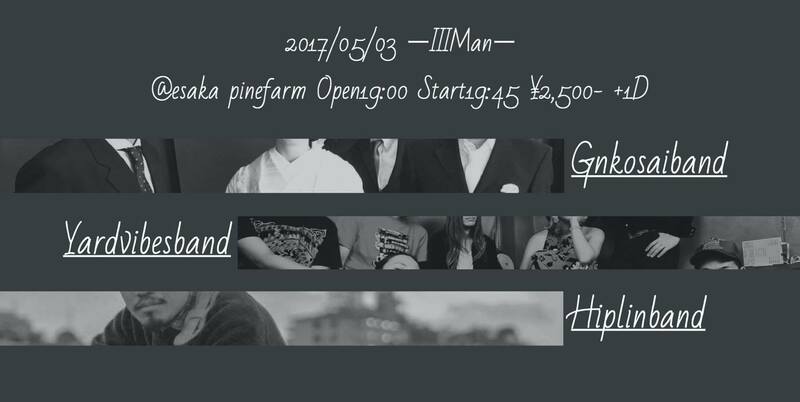 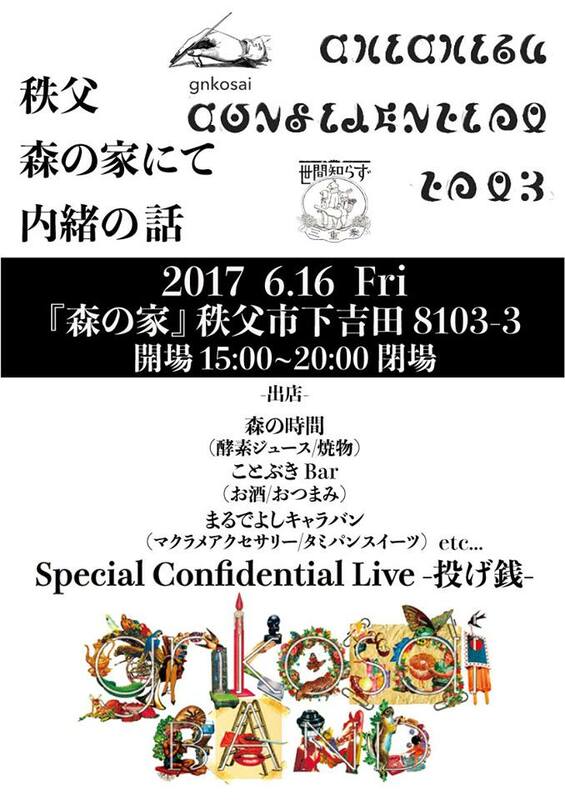 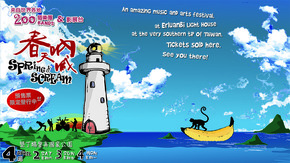 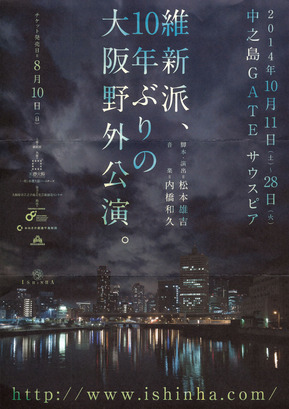 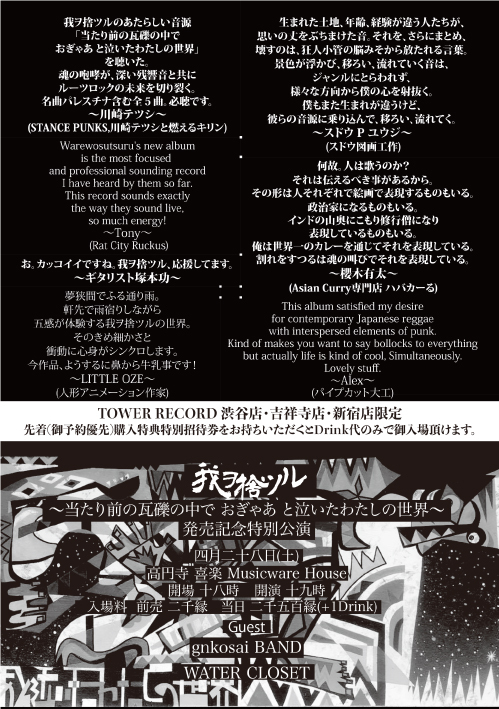 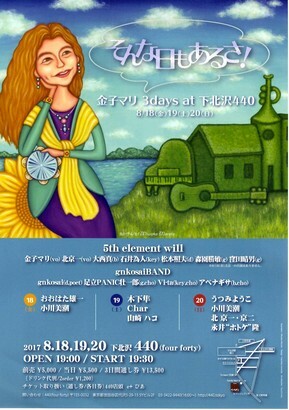 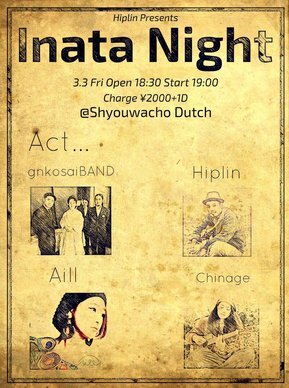 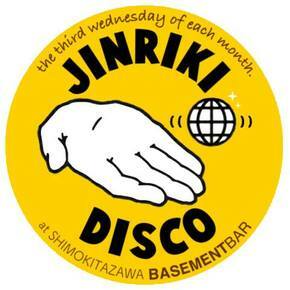 "soul mate meeting in Yokohama"
w/ 音の旅crew / ANSA / 千尋　and more? 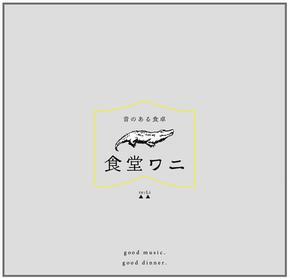 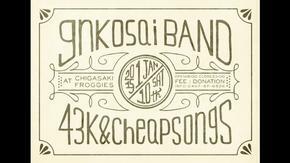 あけ/たて(雑貨) / gnkosai商店(USED SELECT) and more! 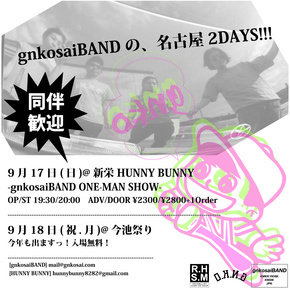 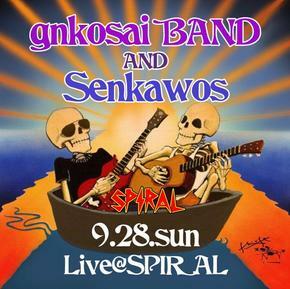 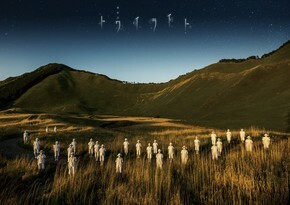 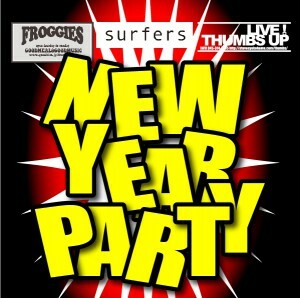 Copyright 2012 - 2013 gnkosaiBAND, Allrights reserved.